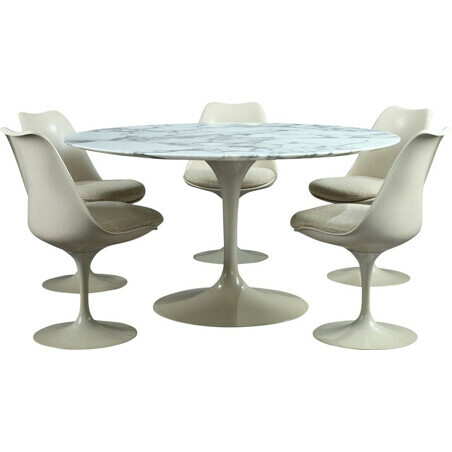 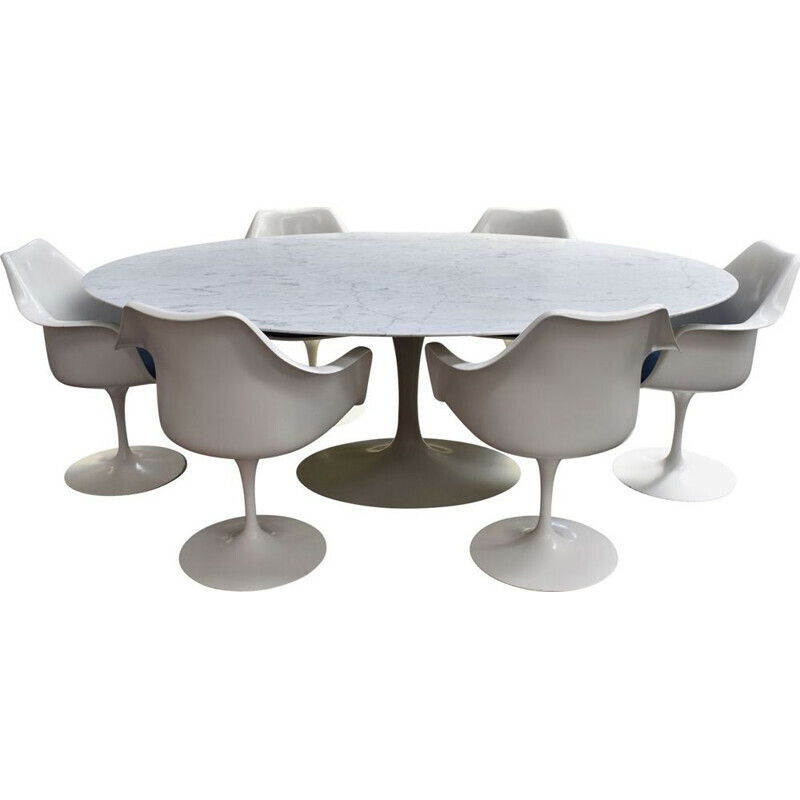 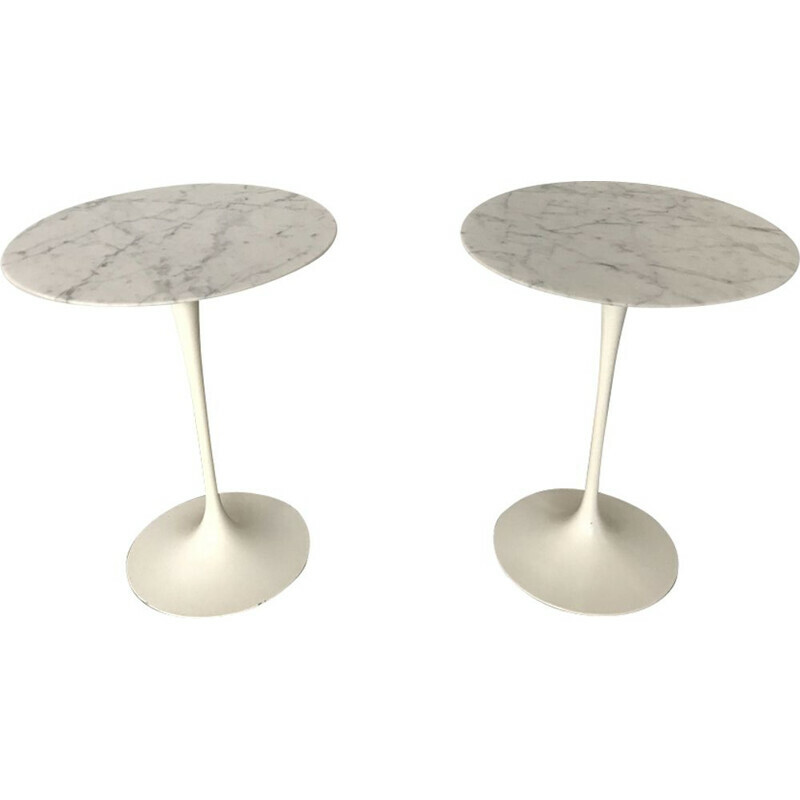 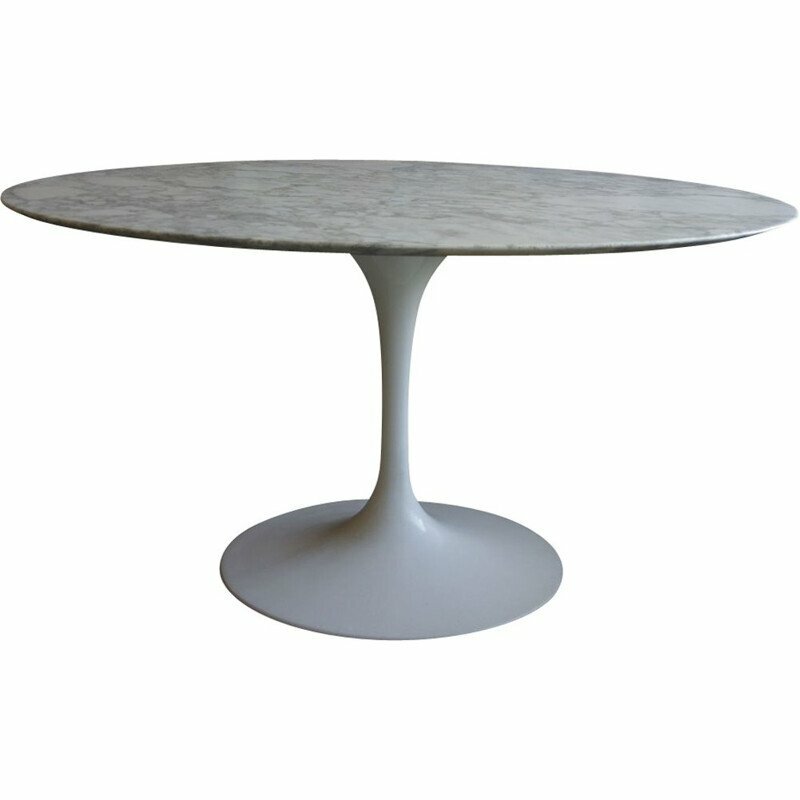 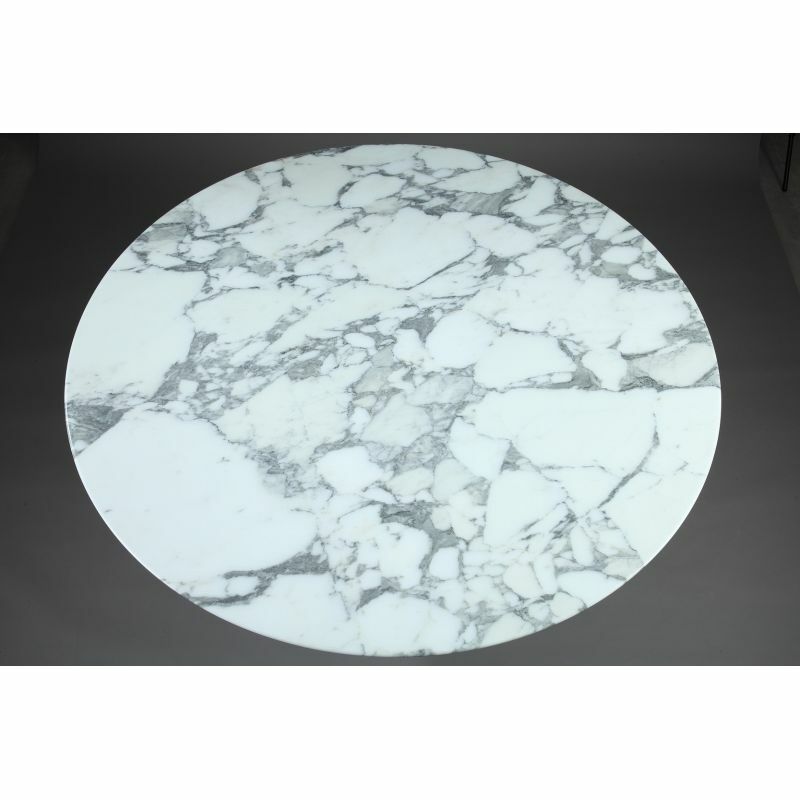 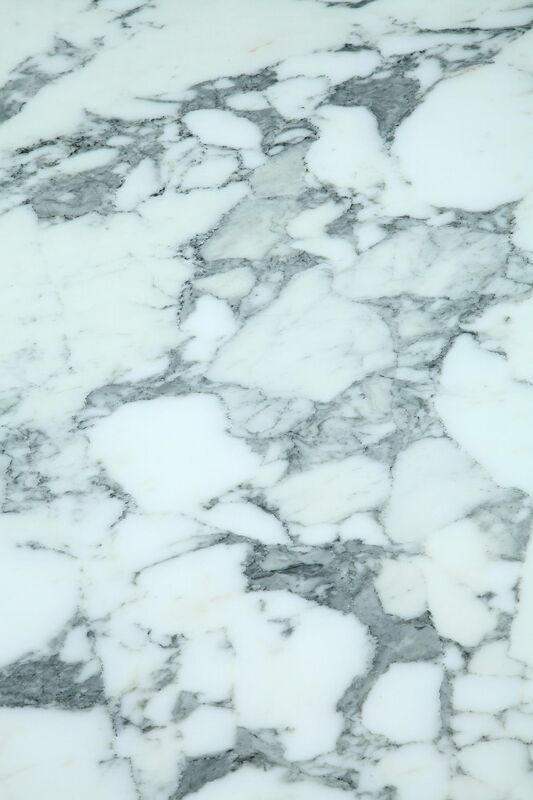 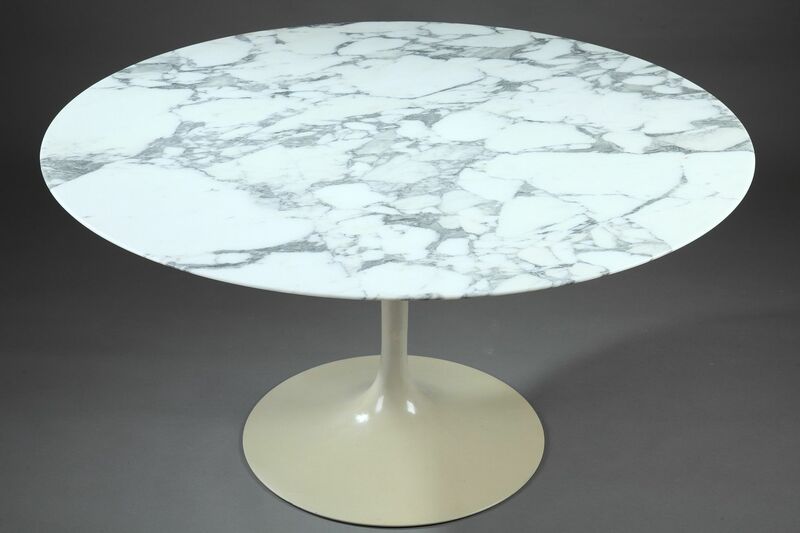 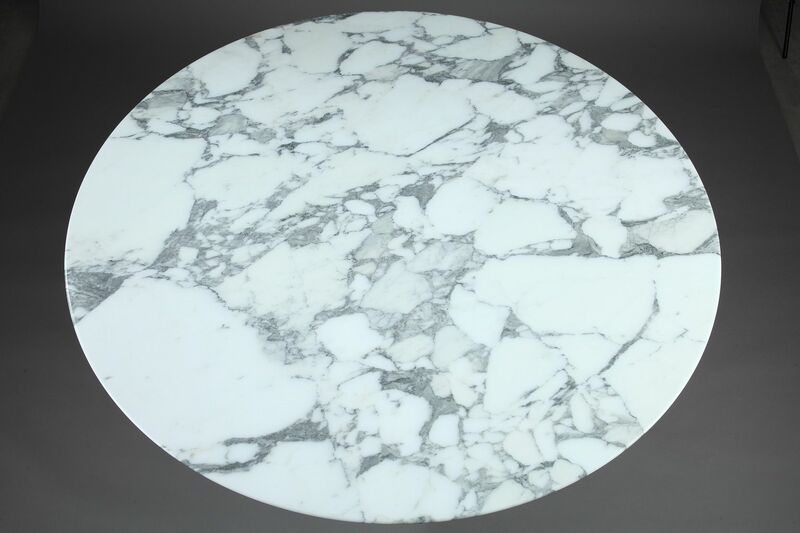 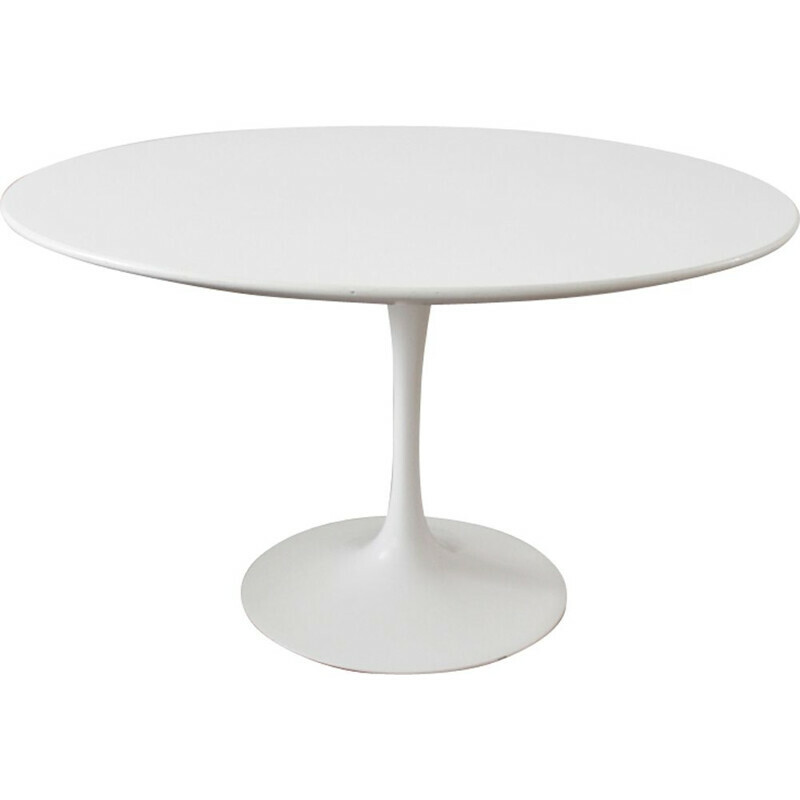 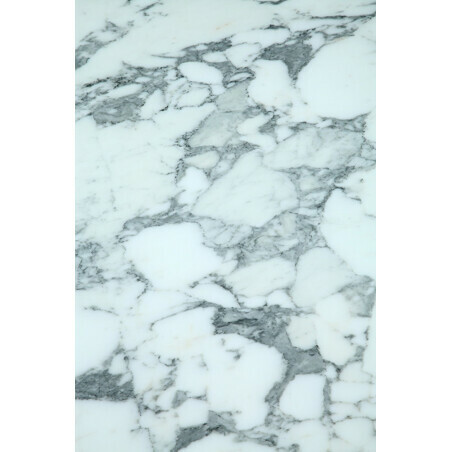 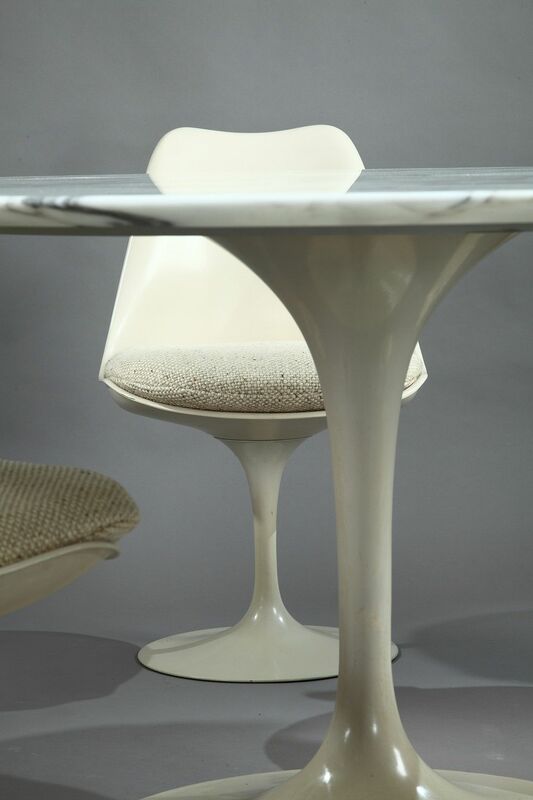 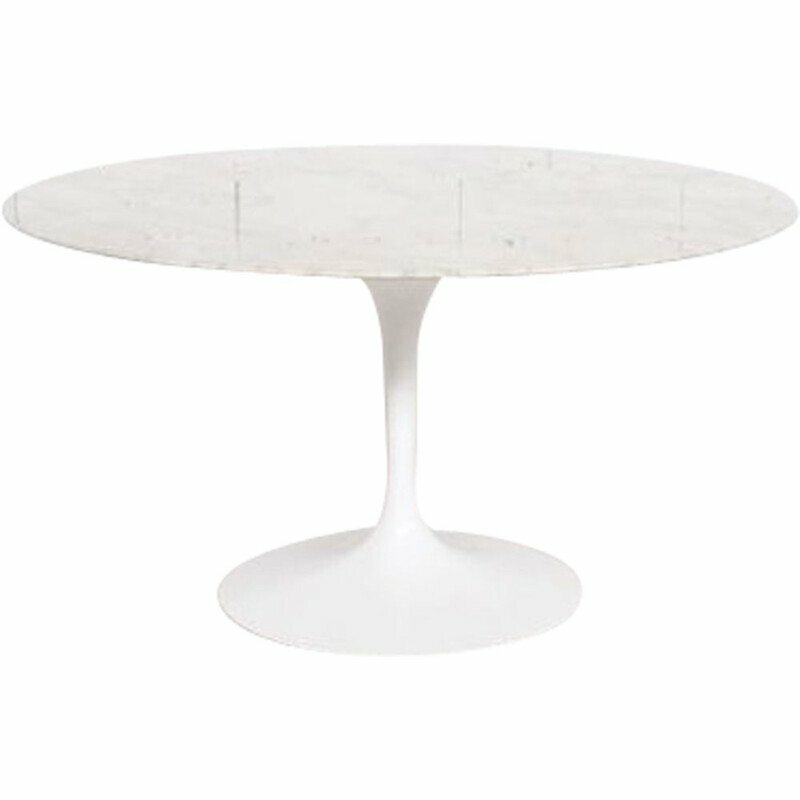 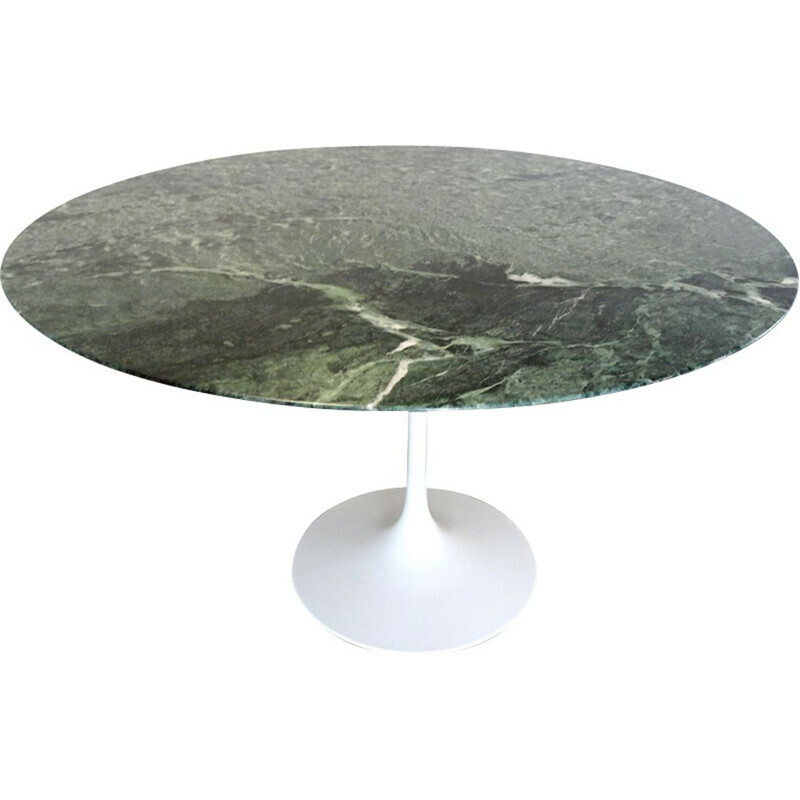 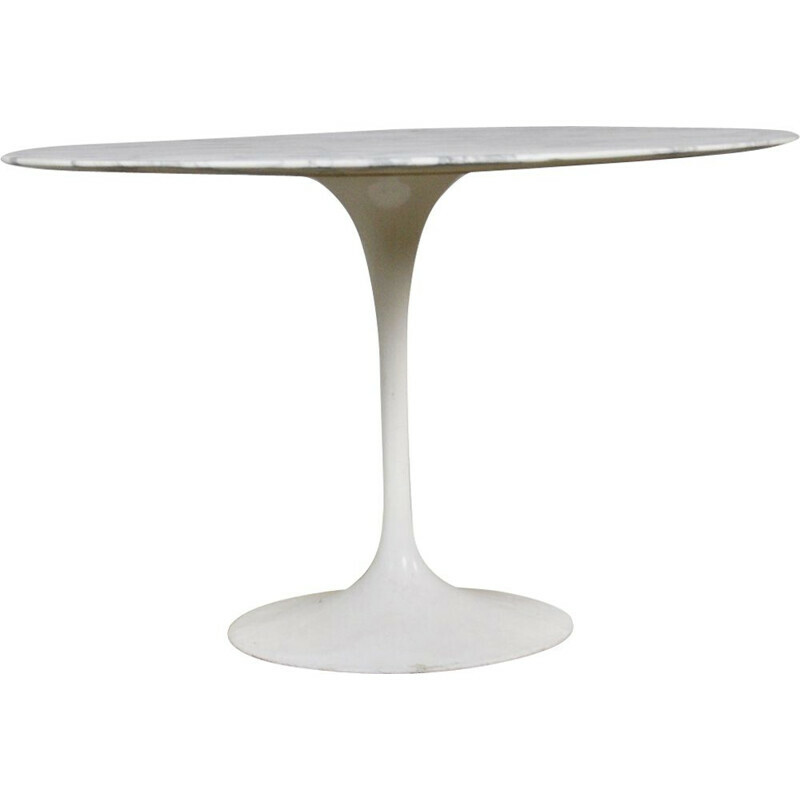 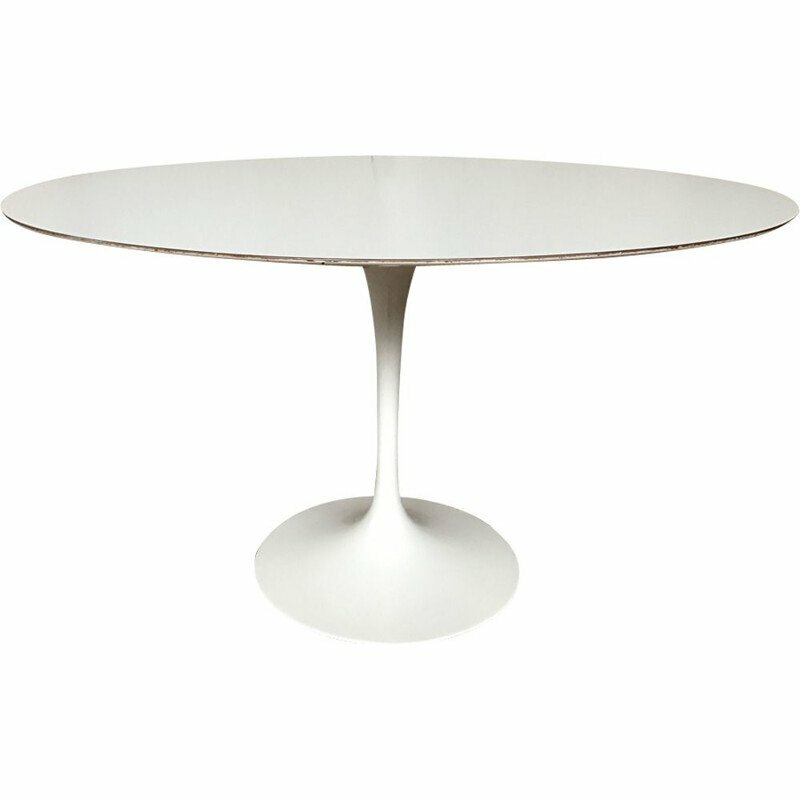 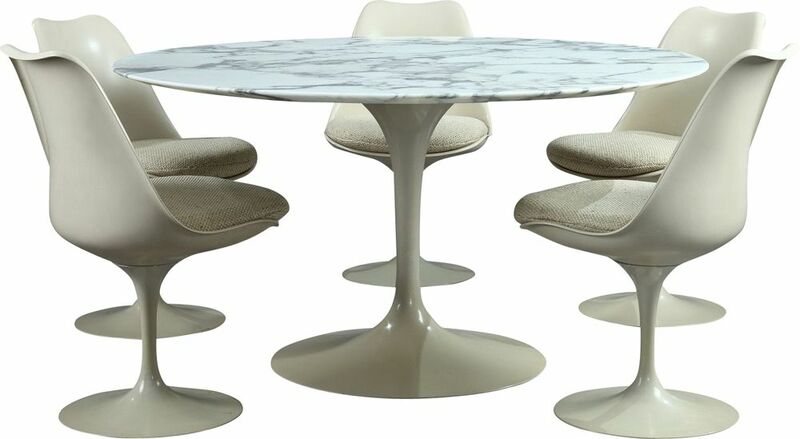 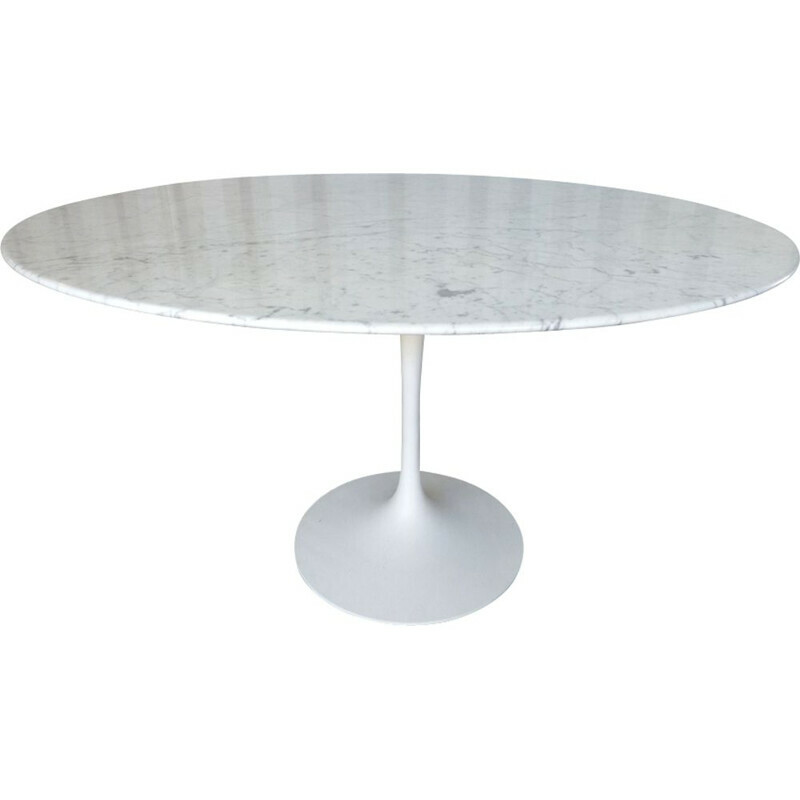 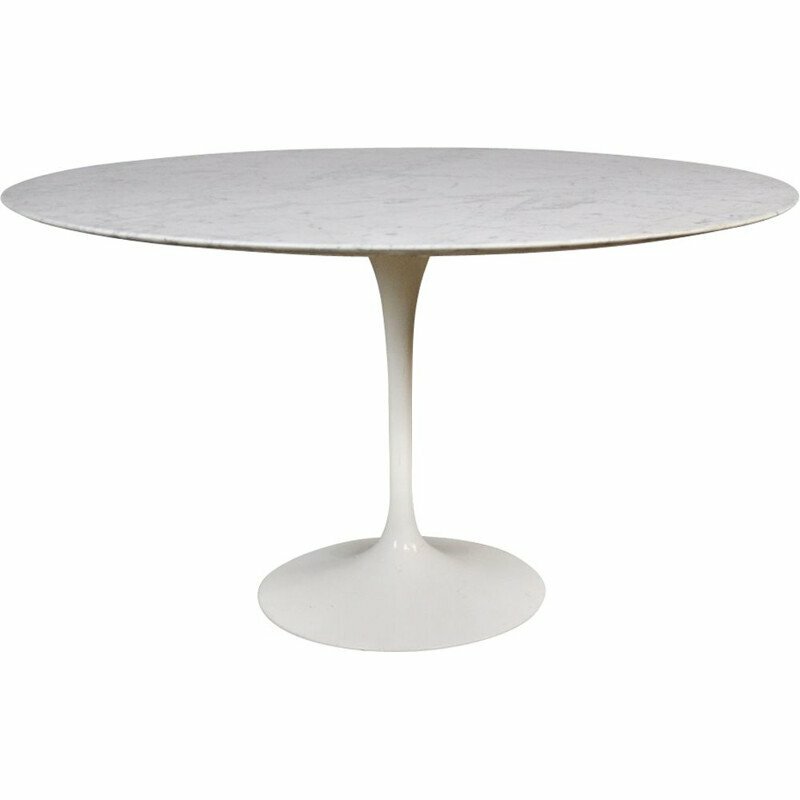 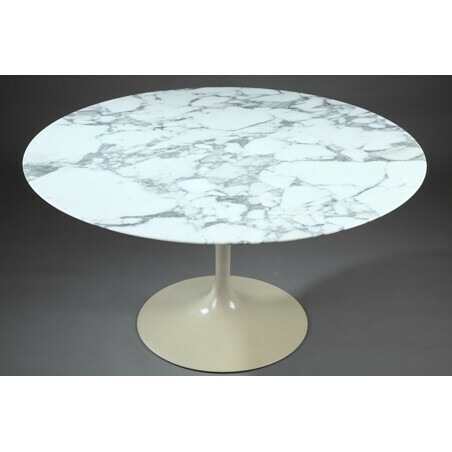 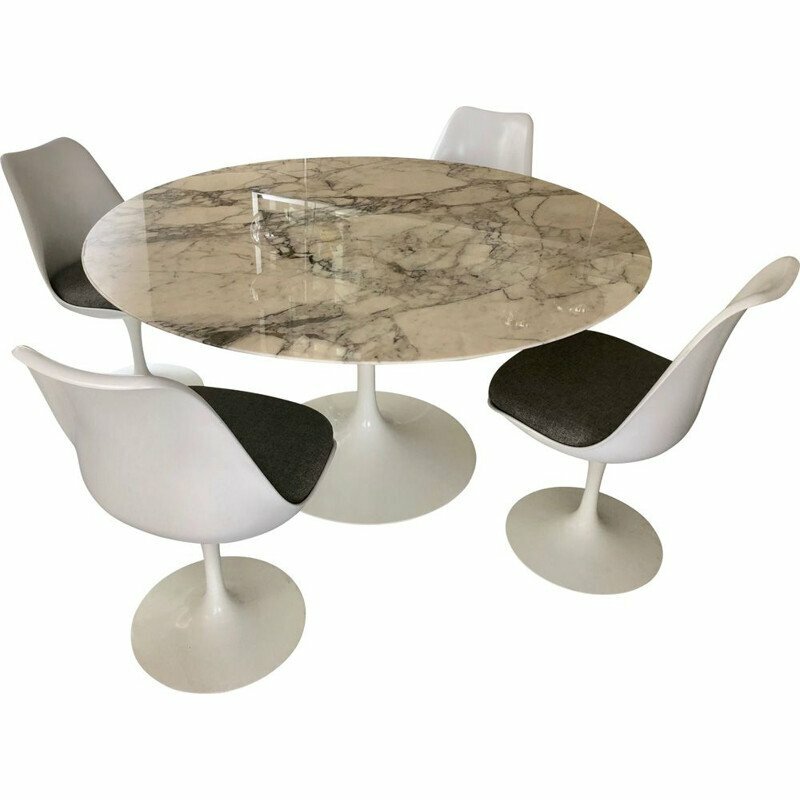 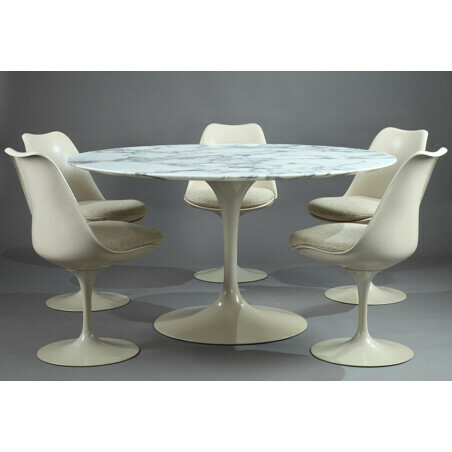 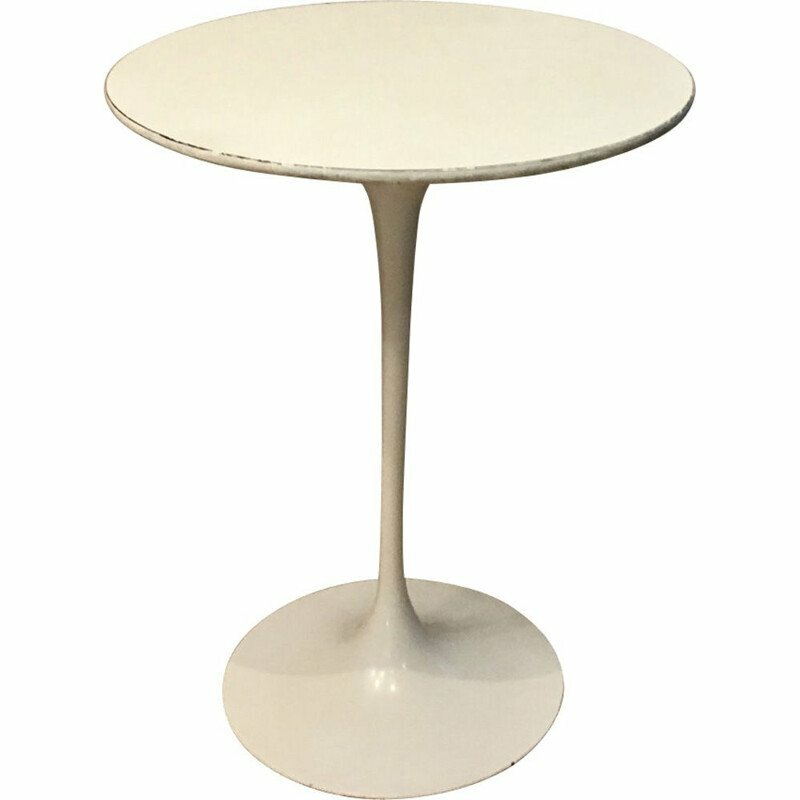 Tulip table made of a circular plate in white arabescato marble with clear grey veining. 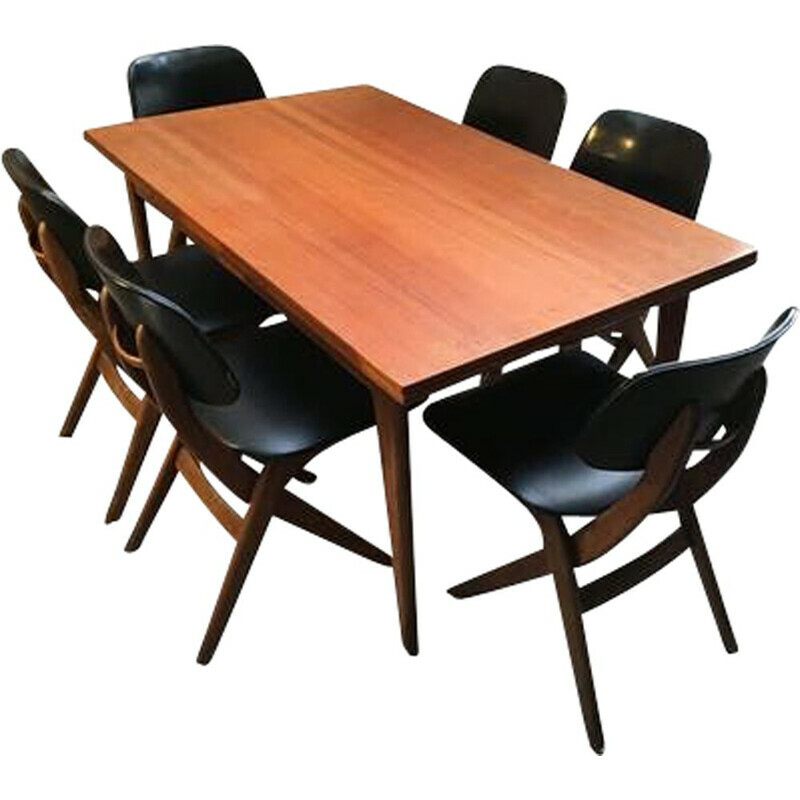 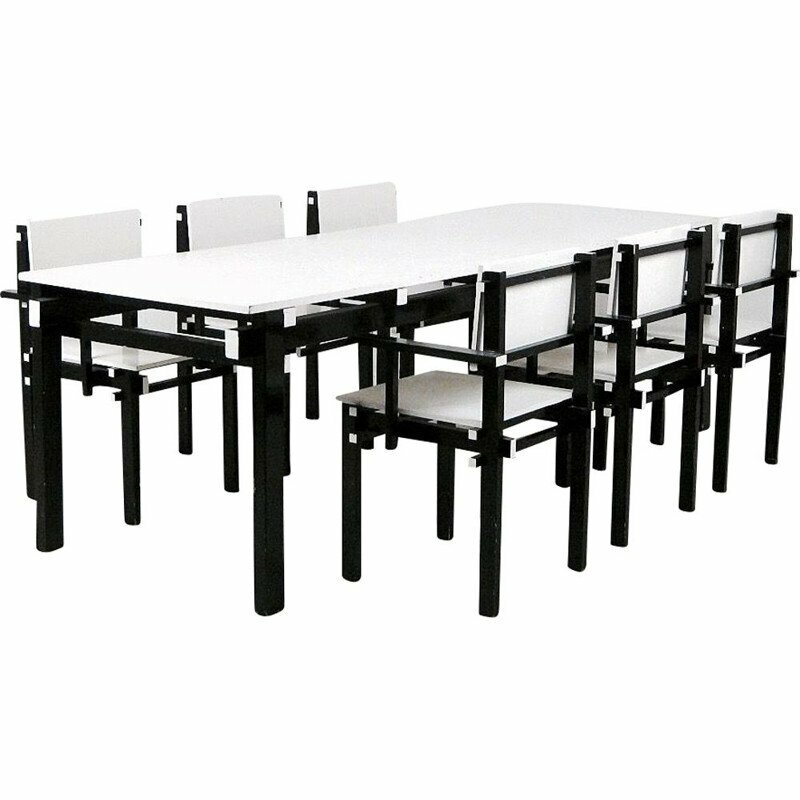 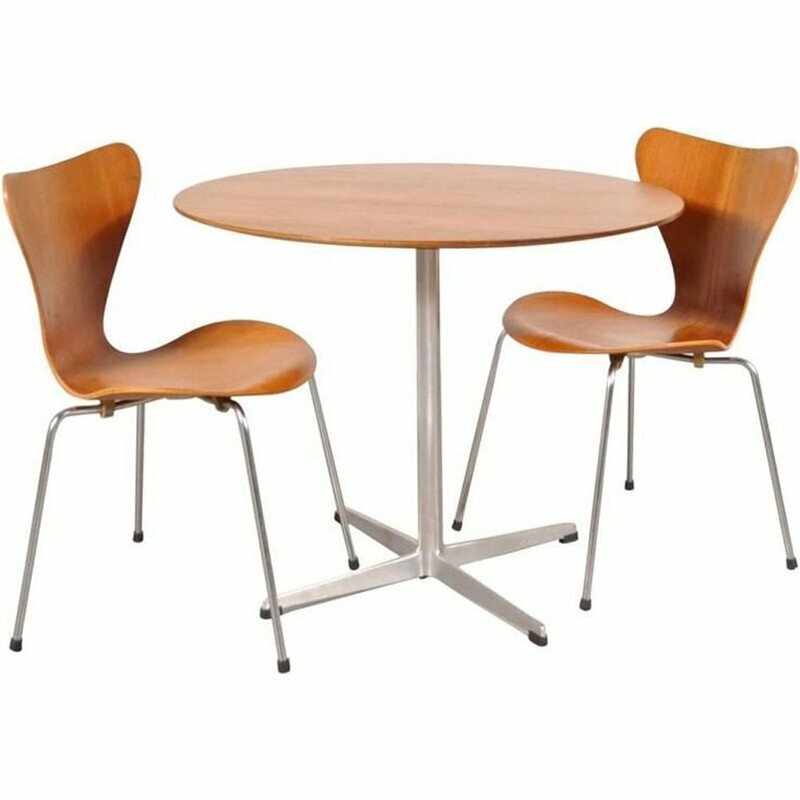 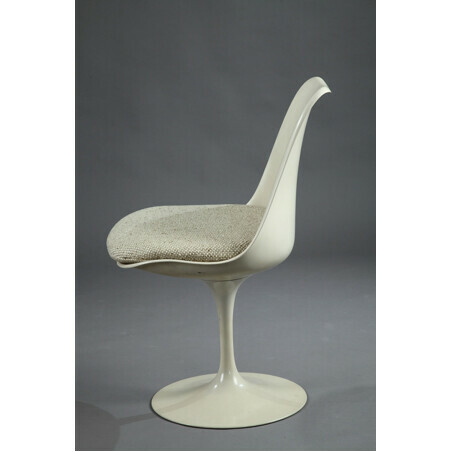 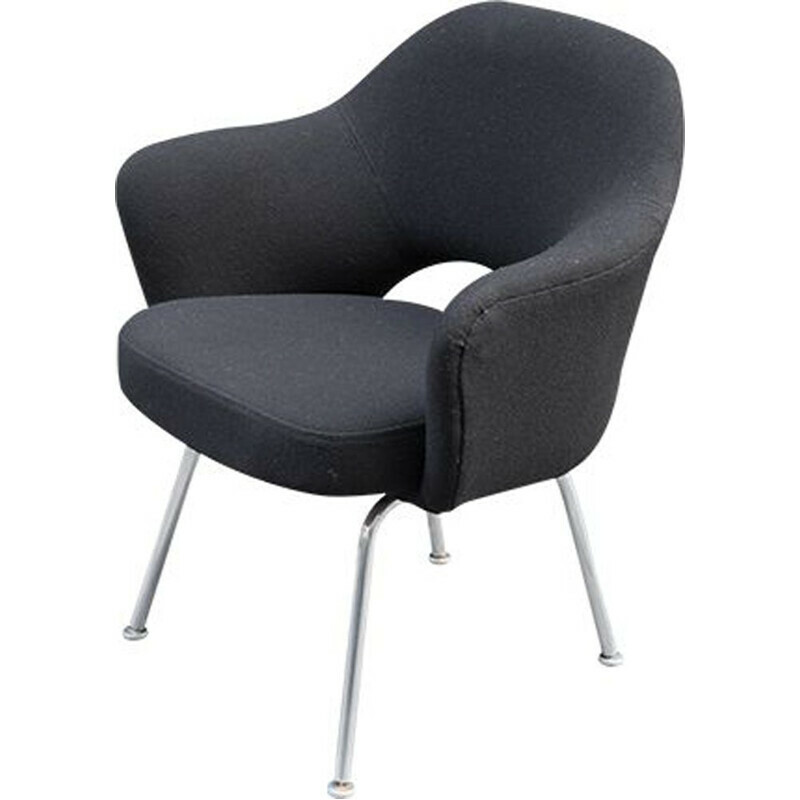 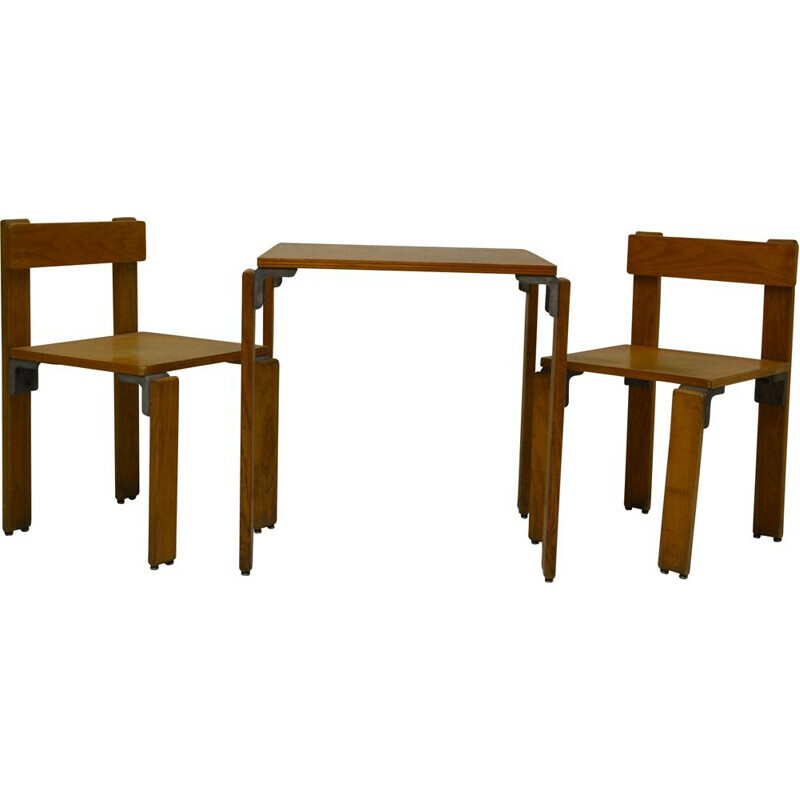 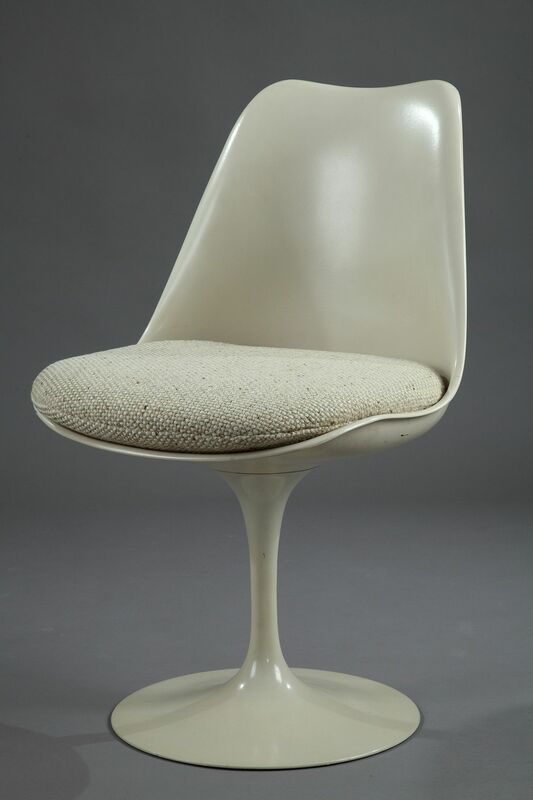 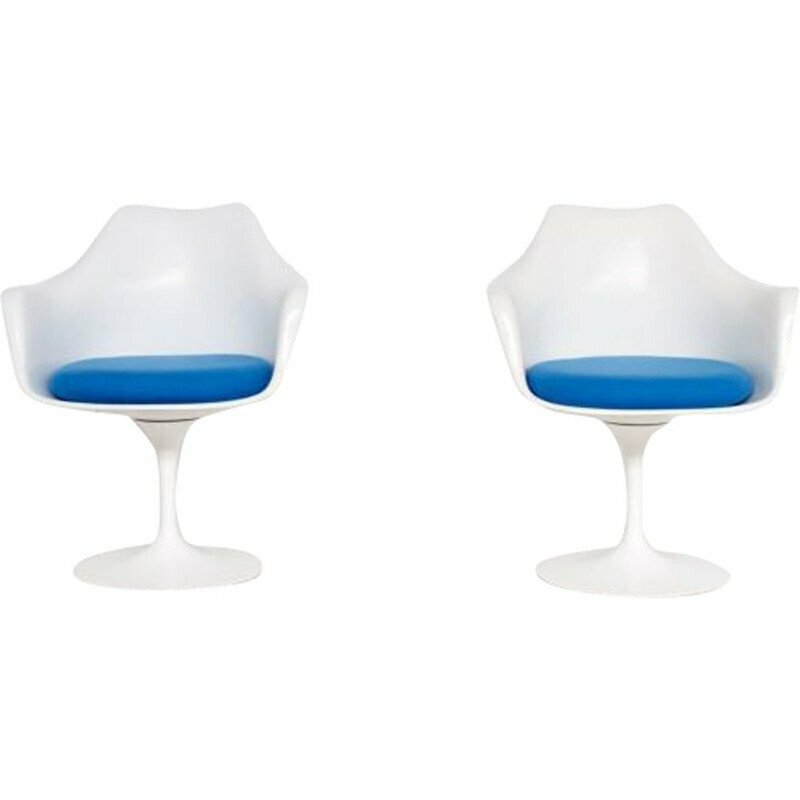 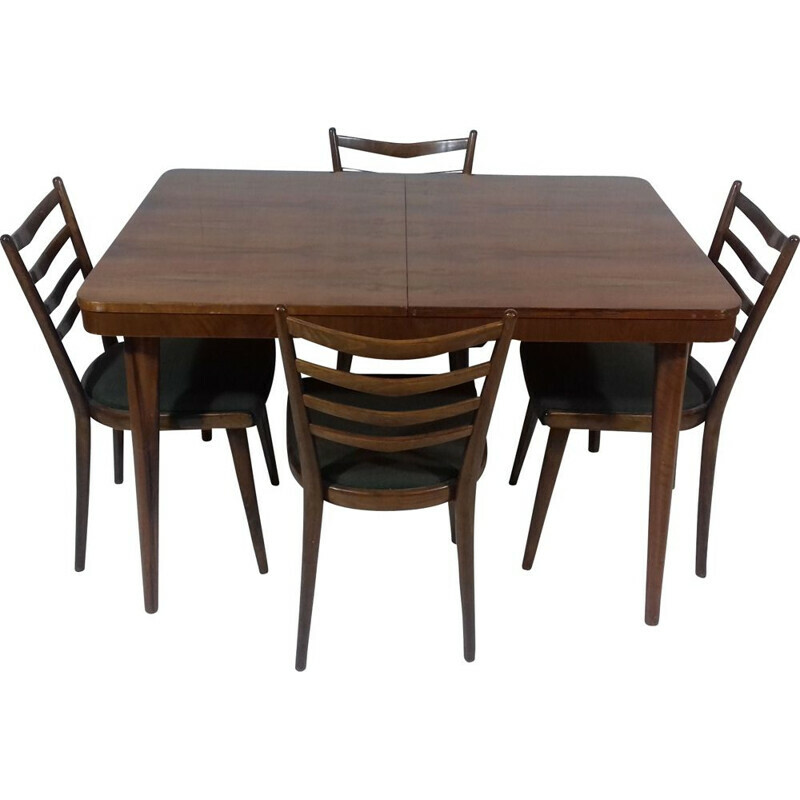 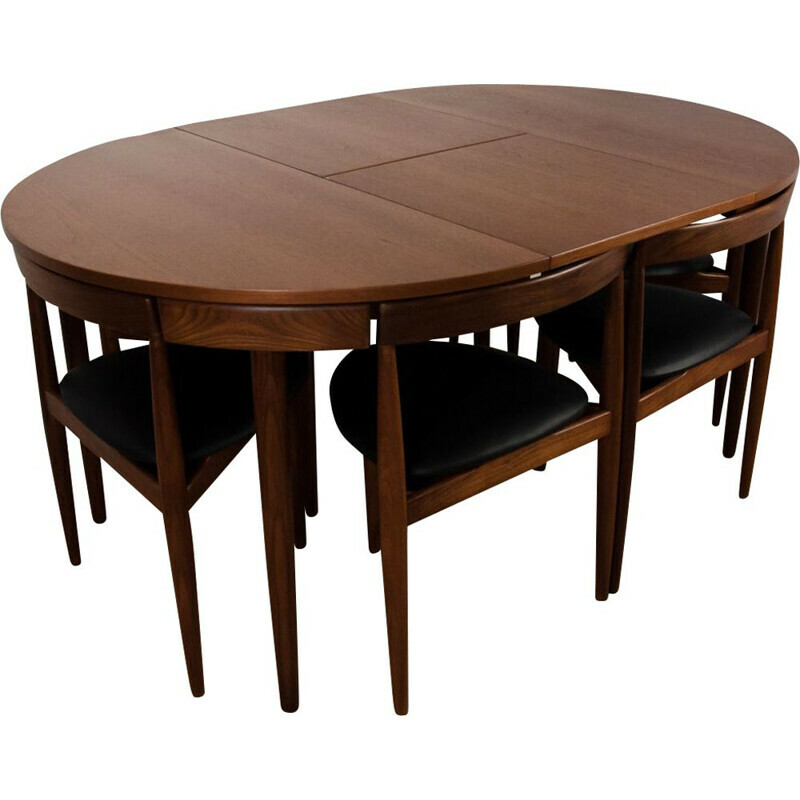 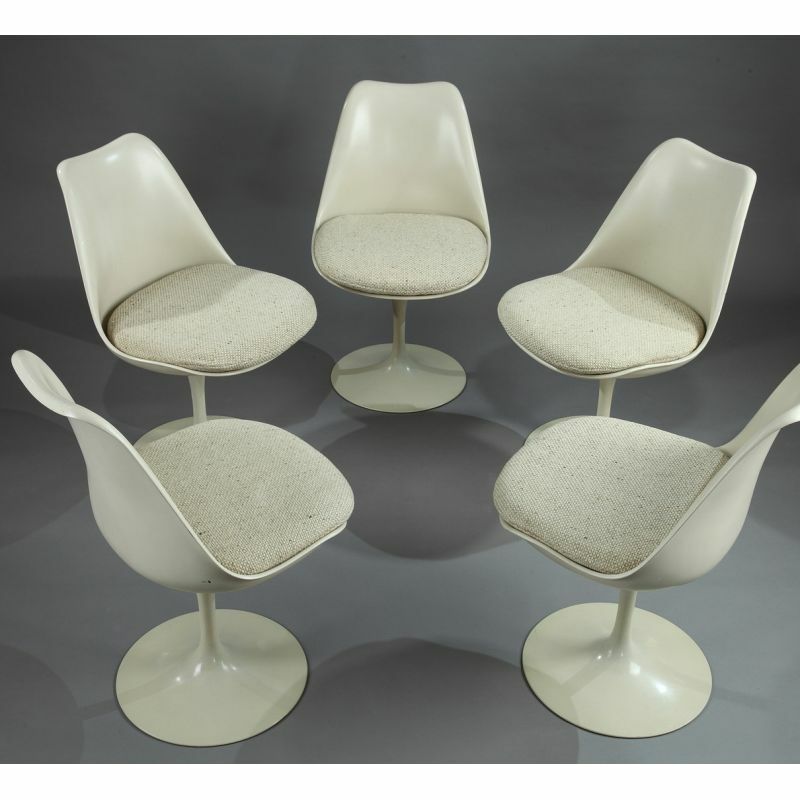 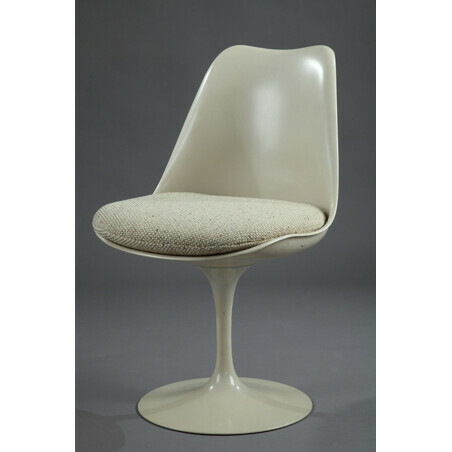 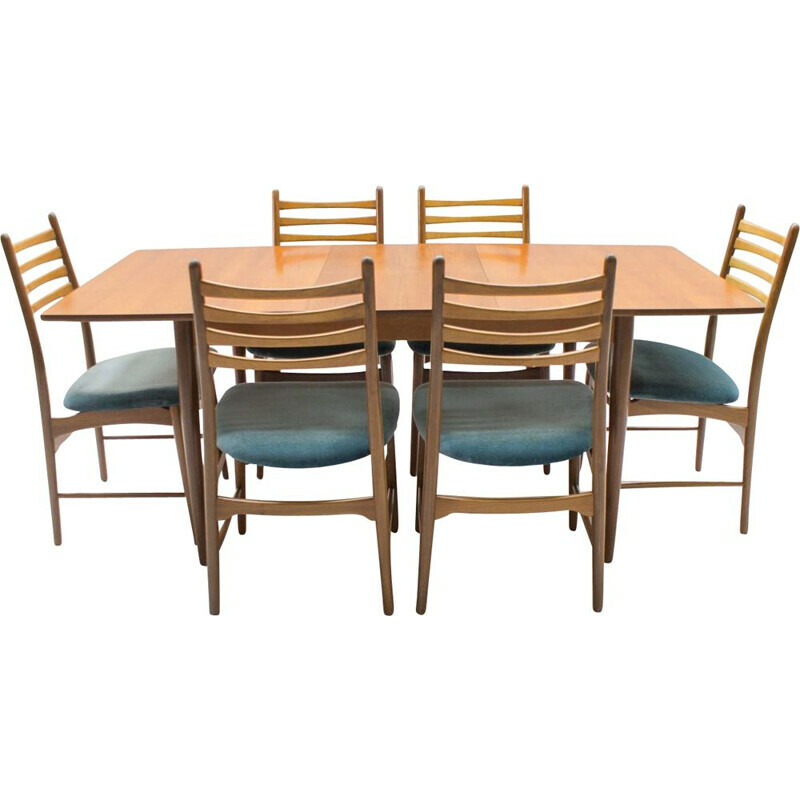 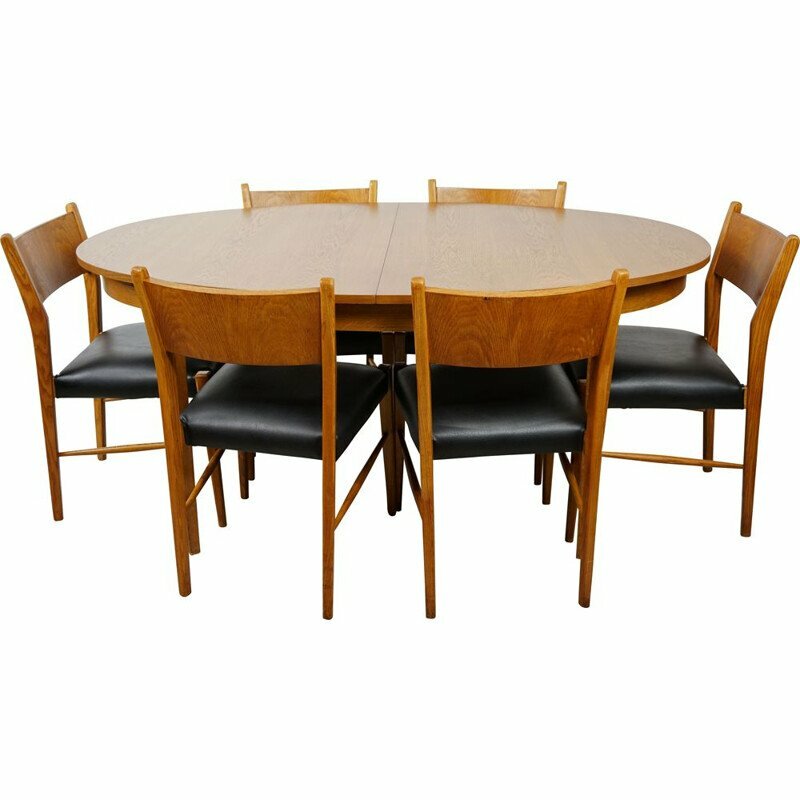 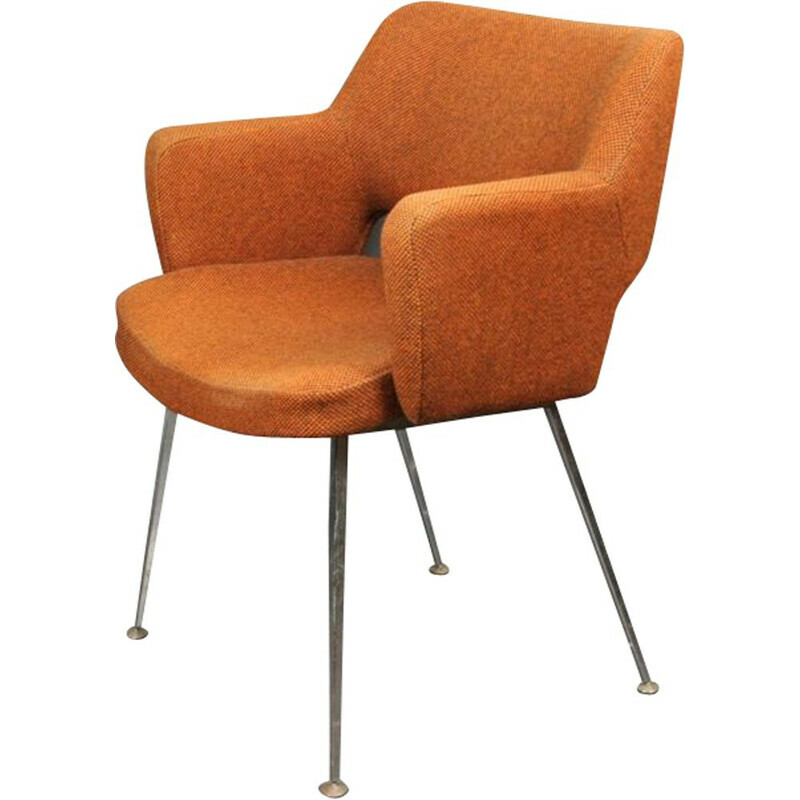 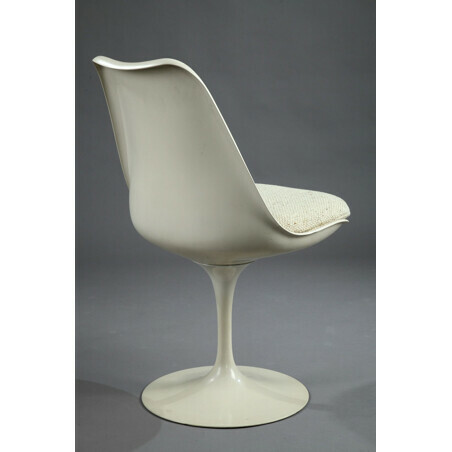 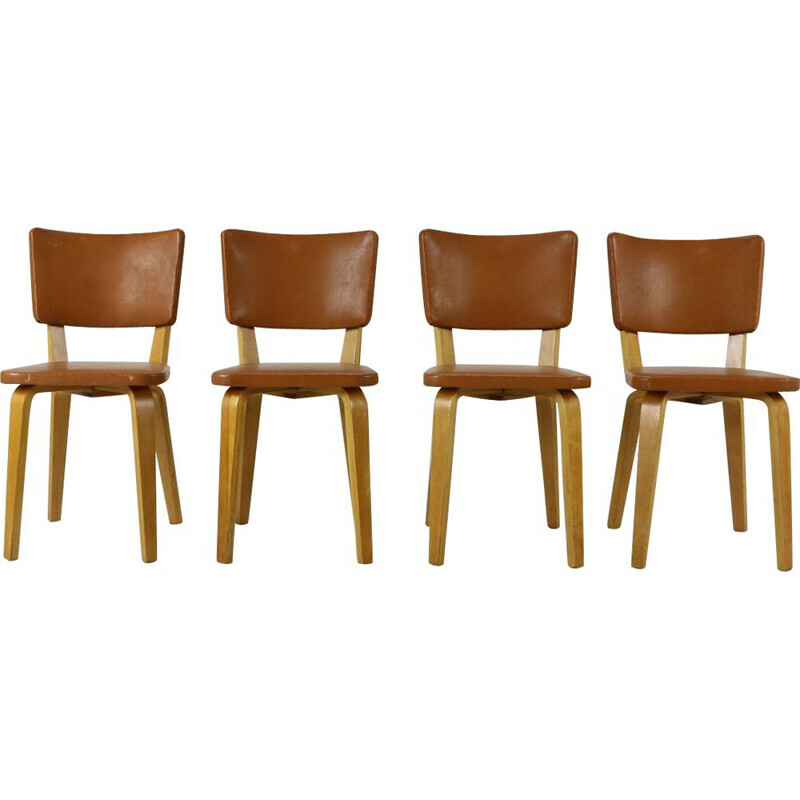 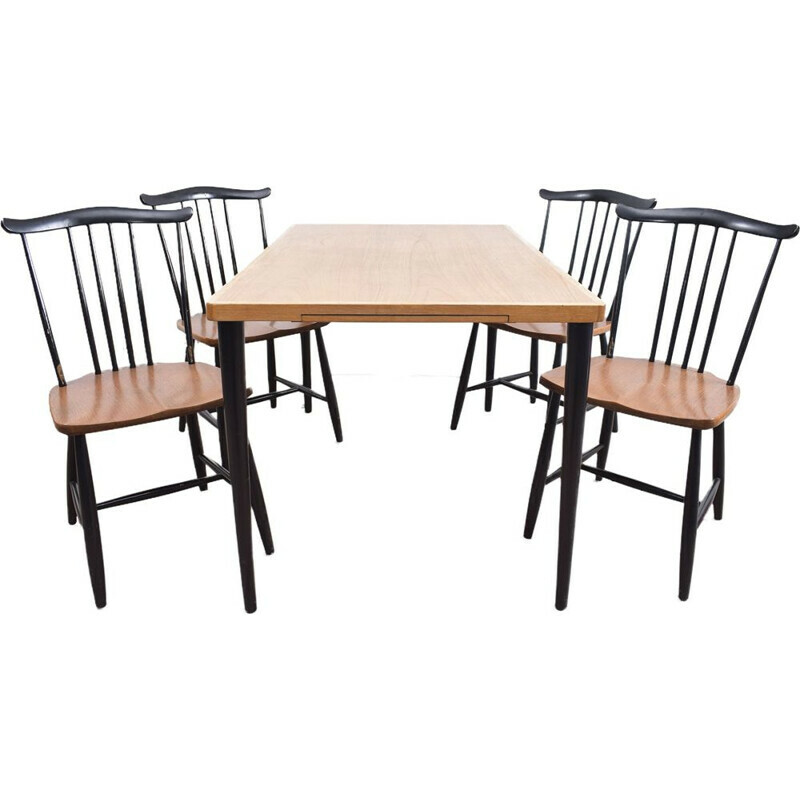 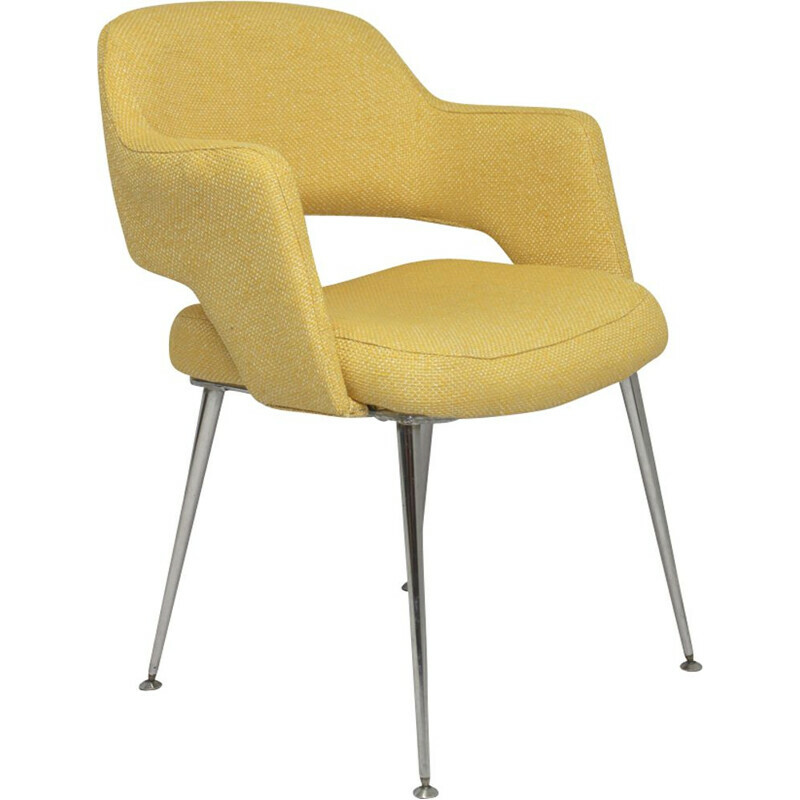 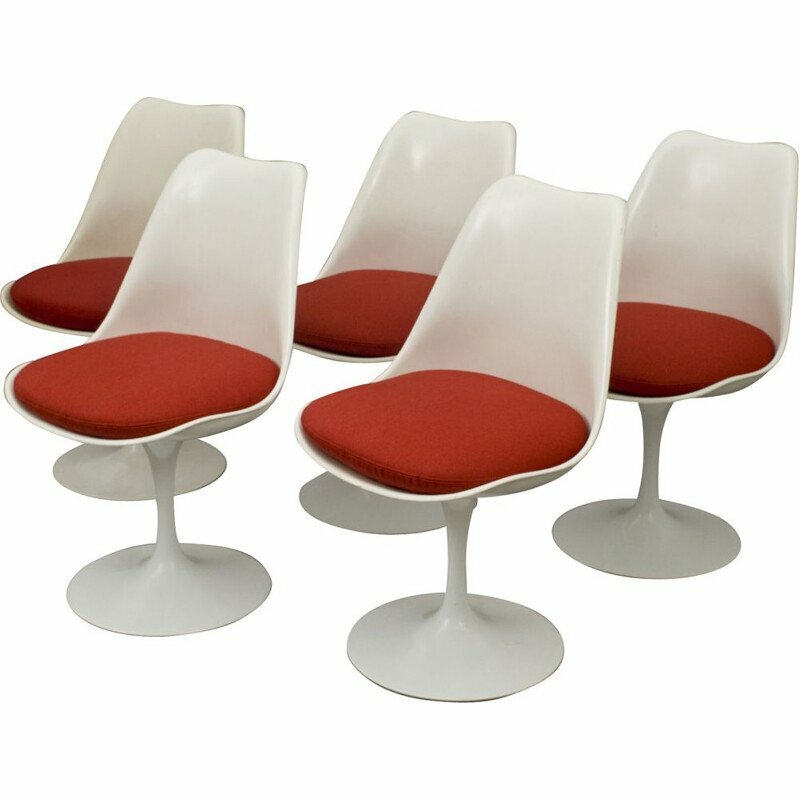 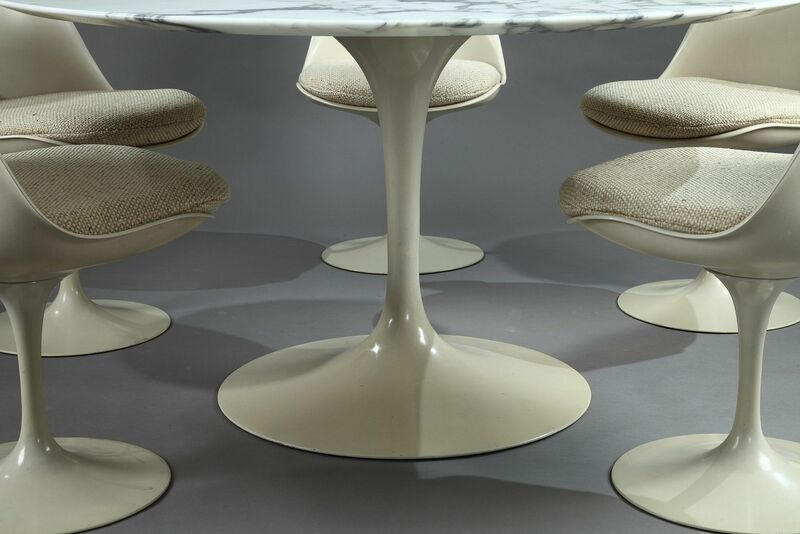 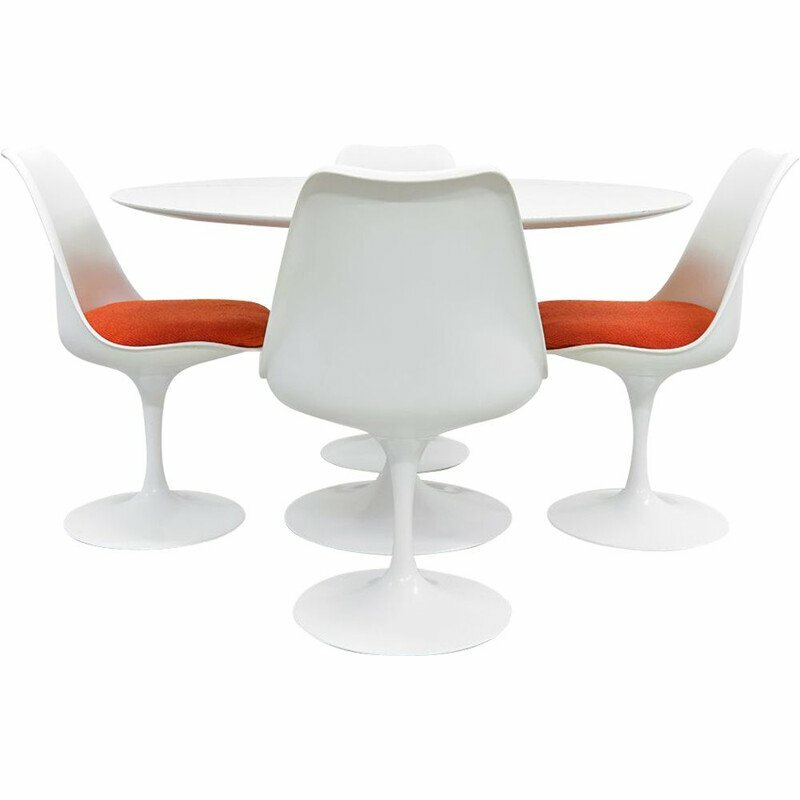 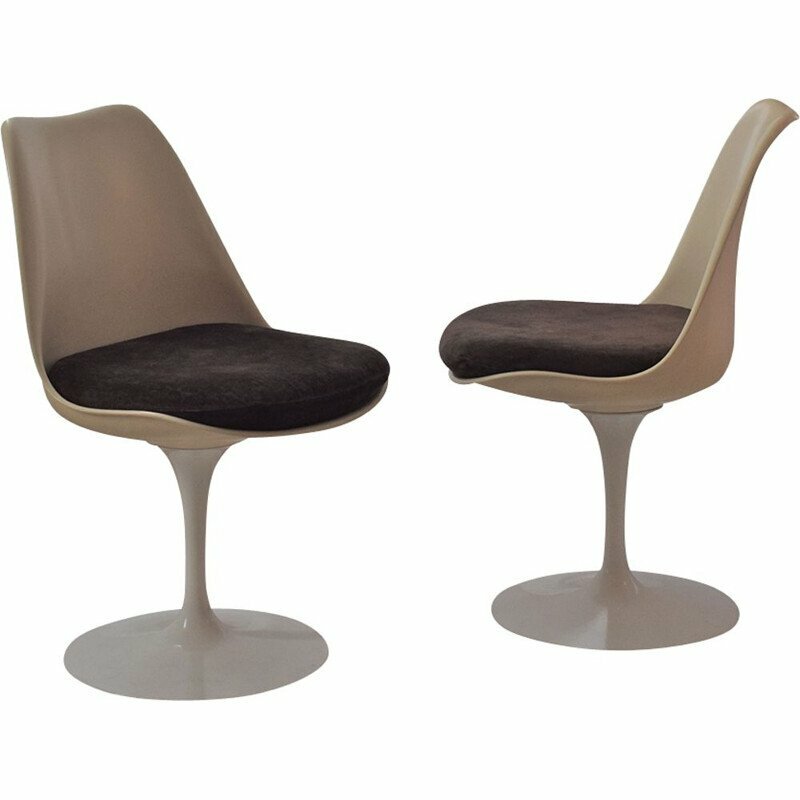 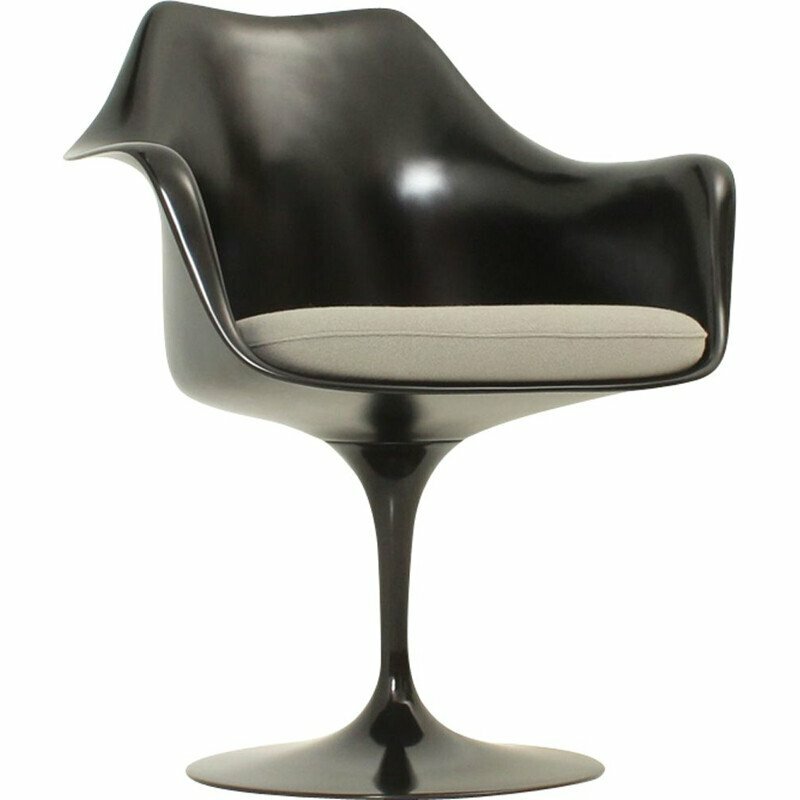 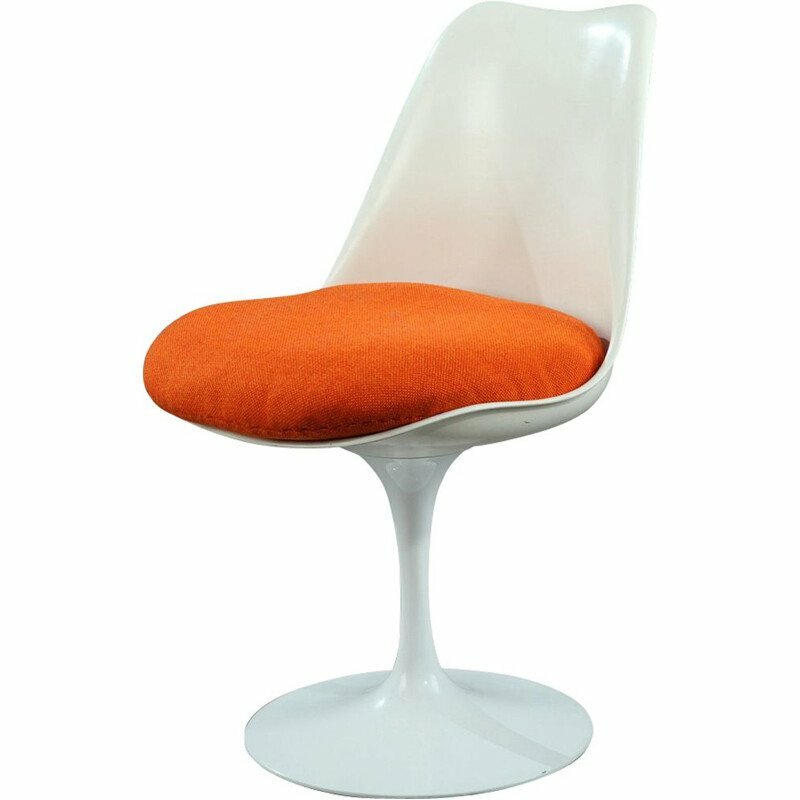 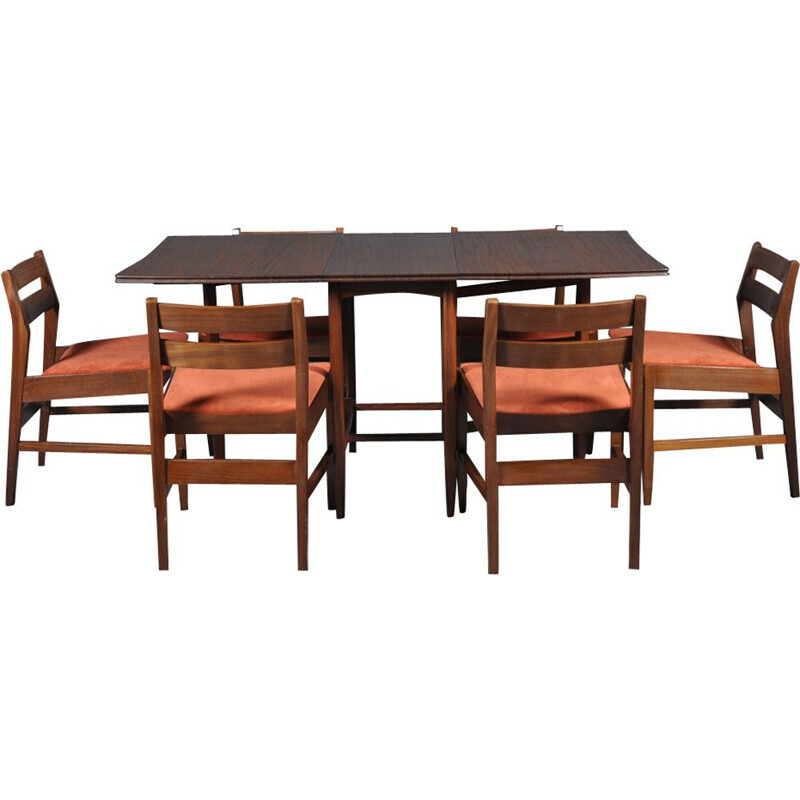 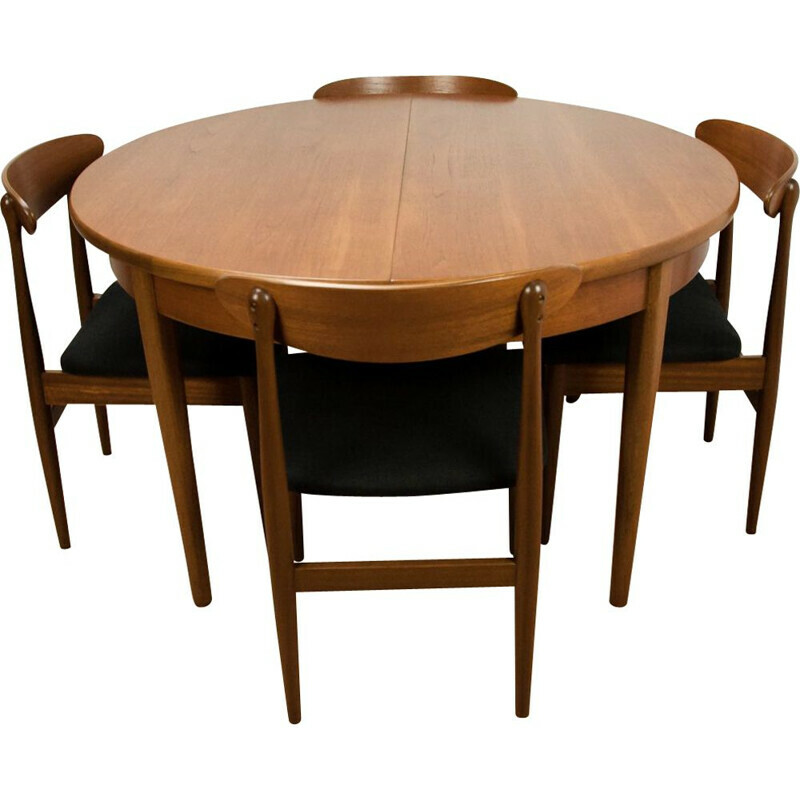 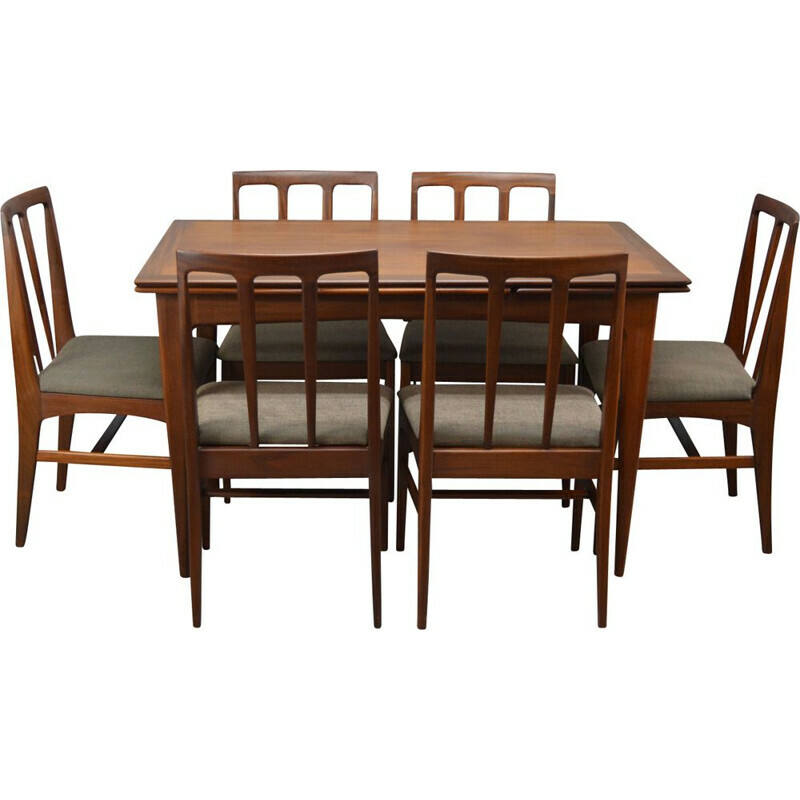 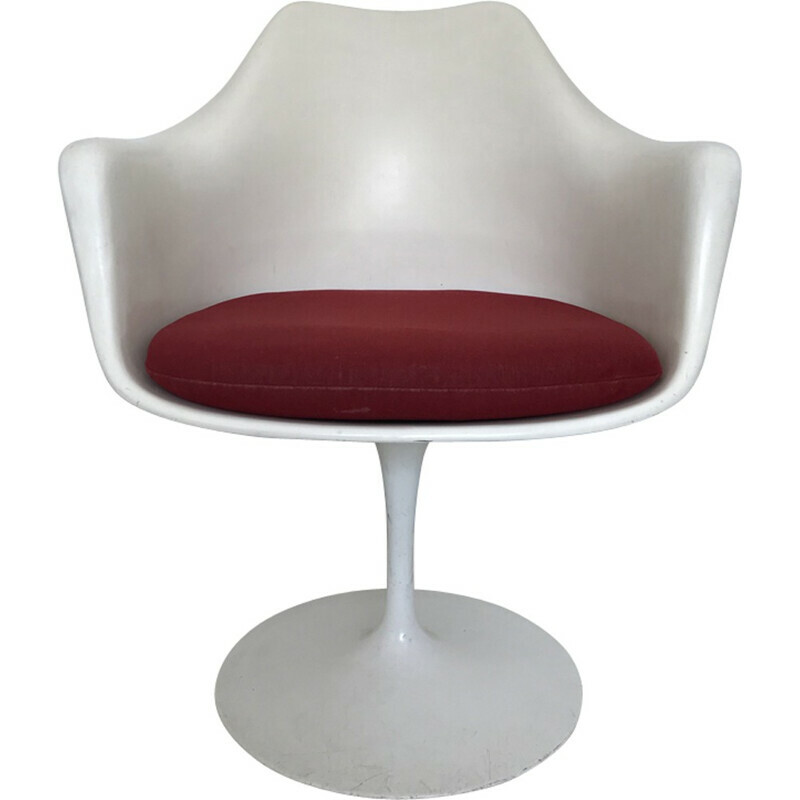 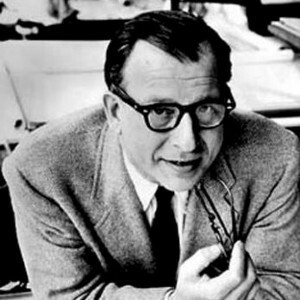 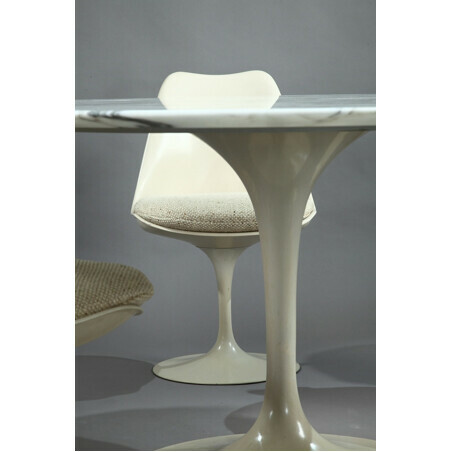 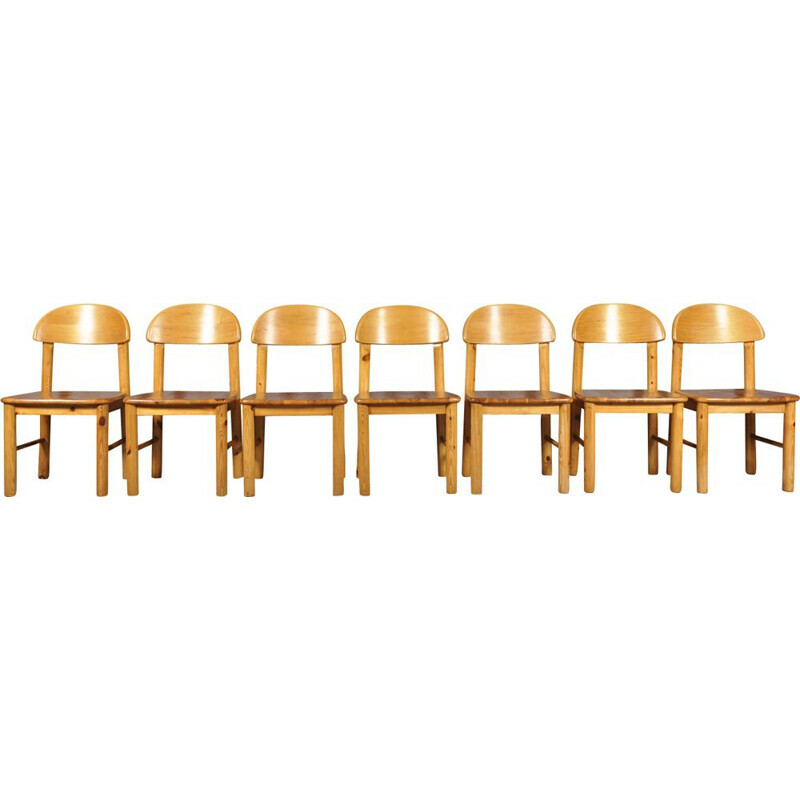 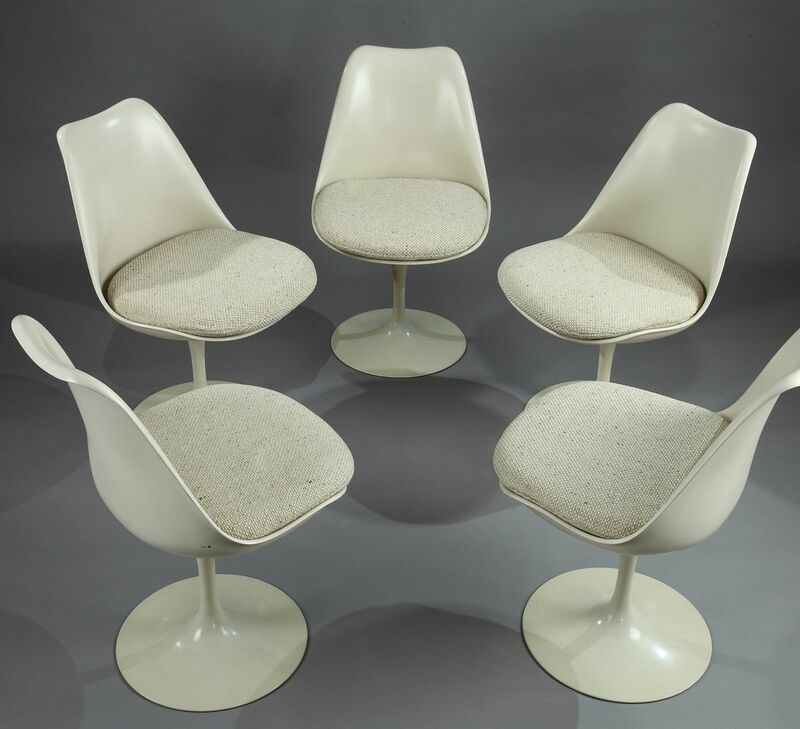 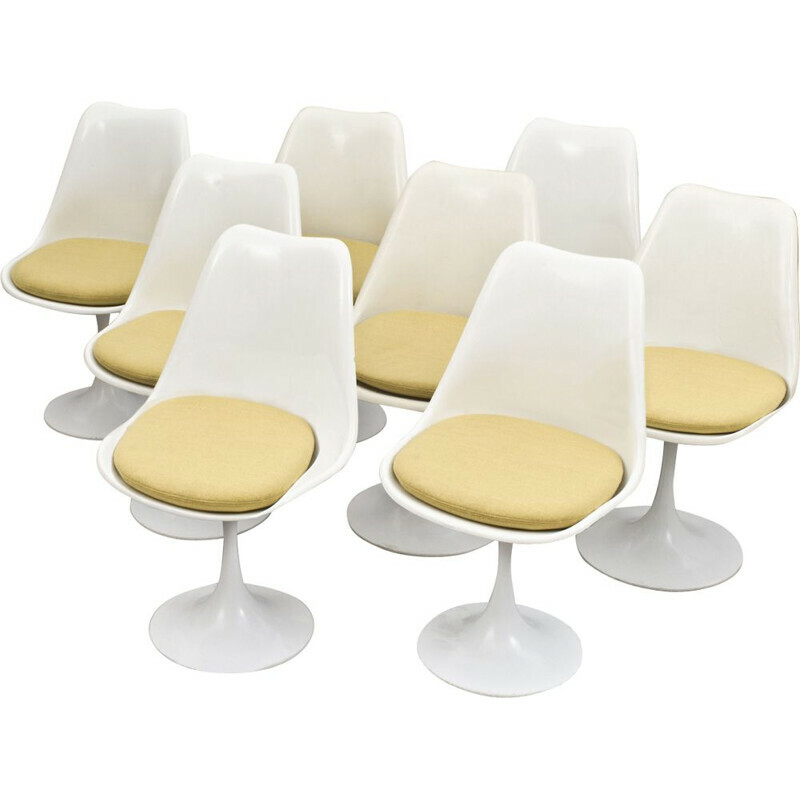 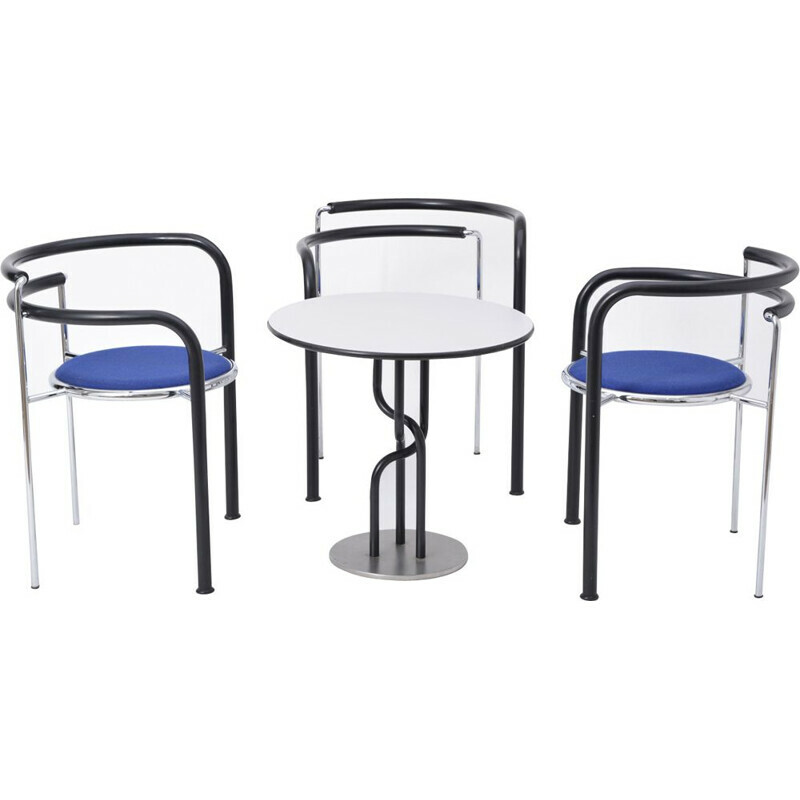 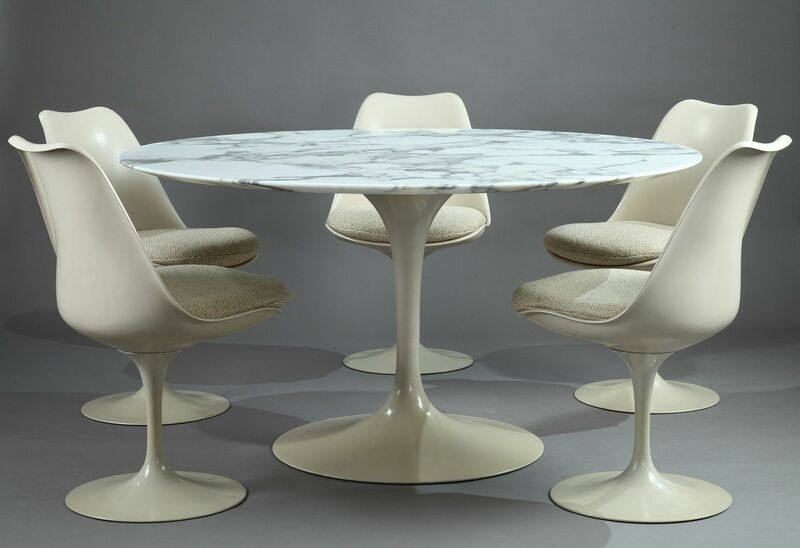 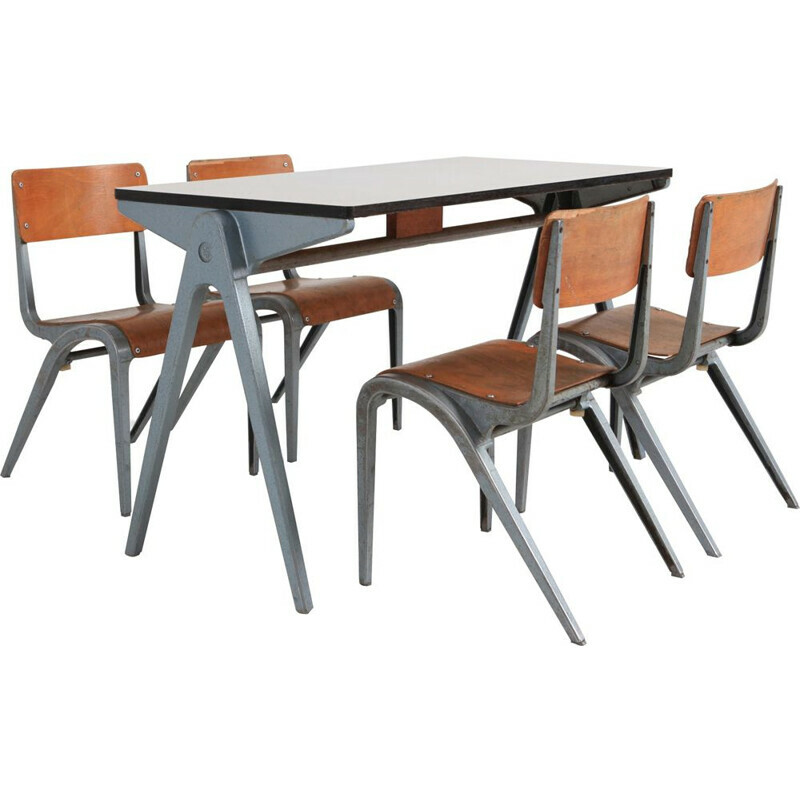 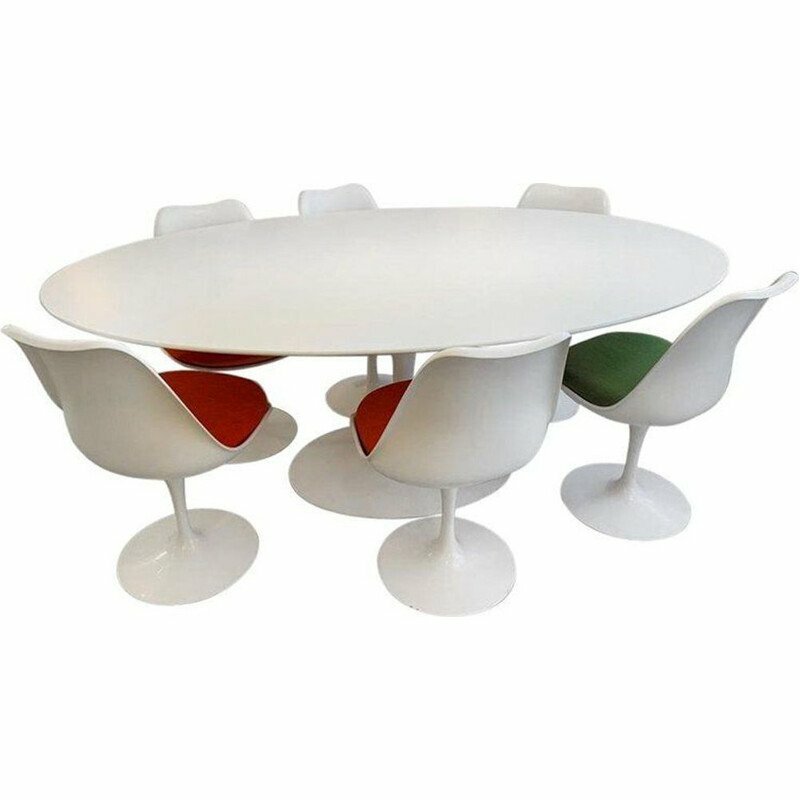 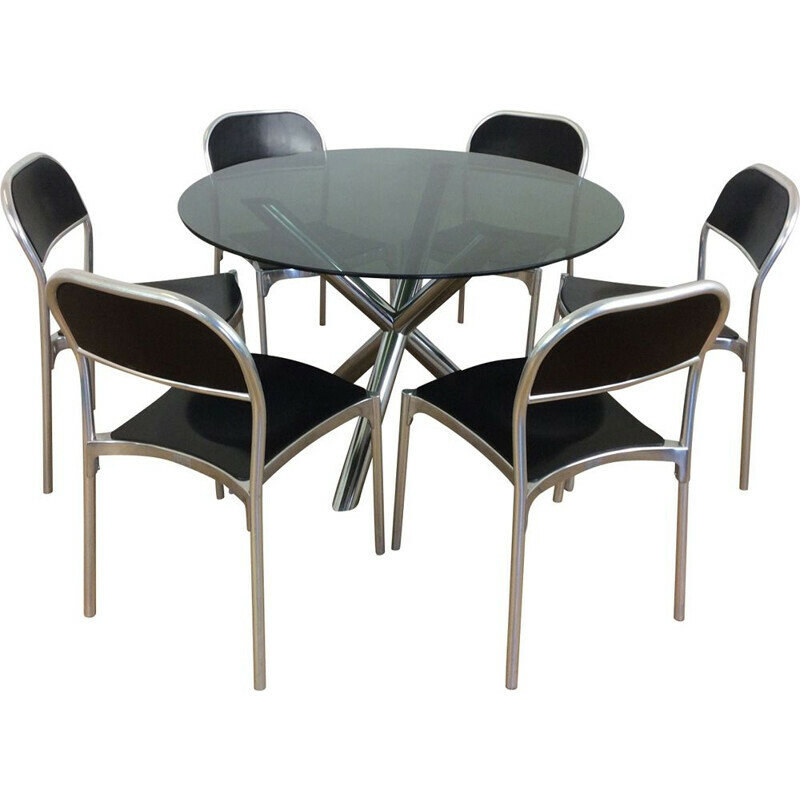 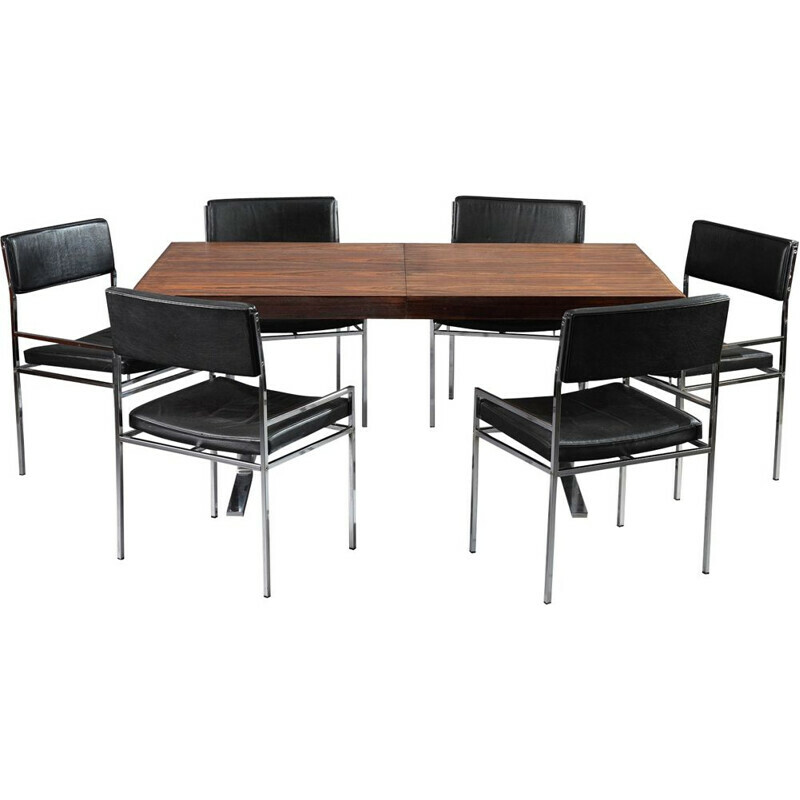 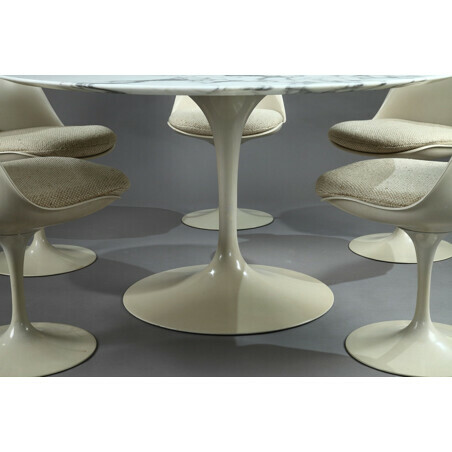 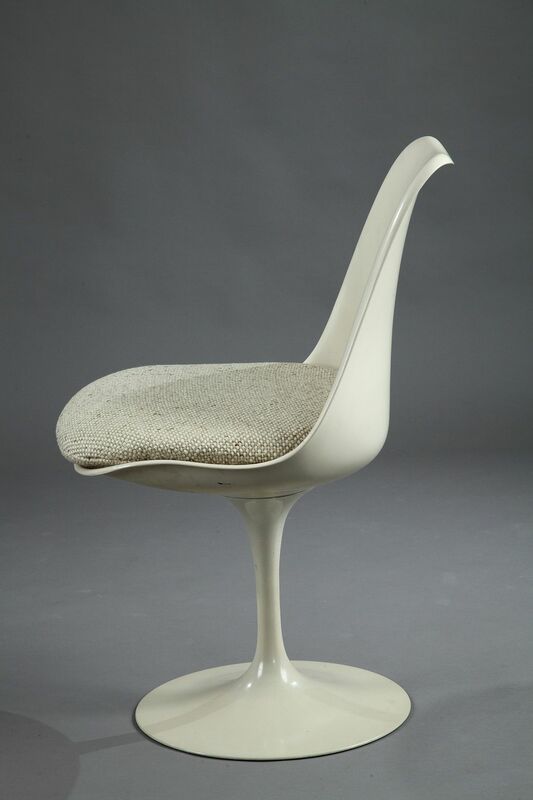 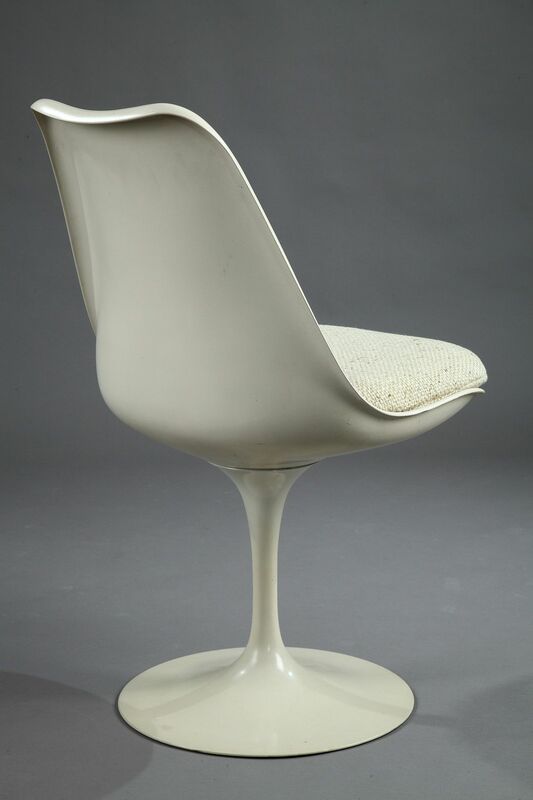 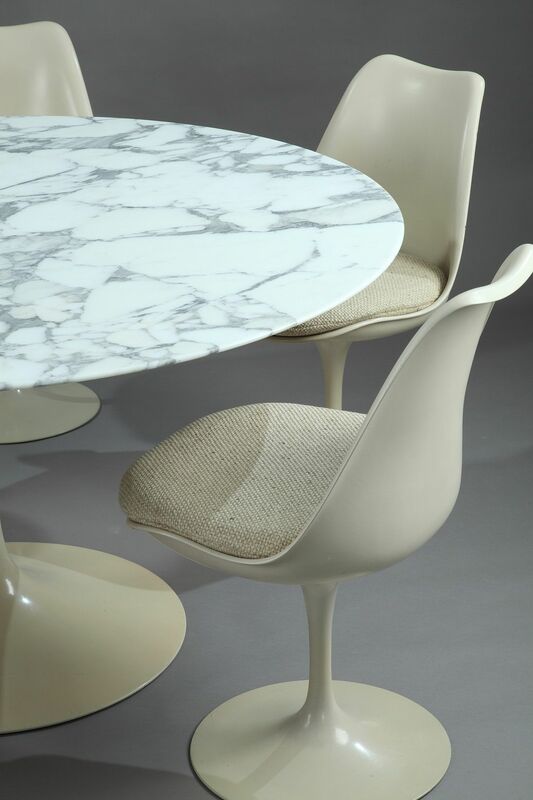 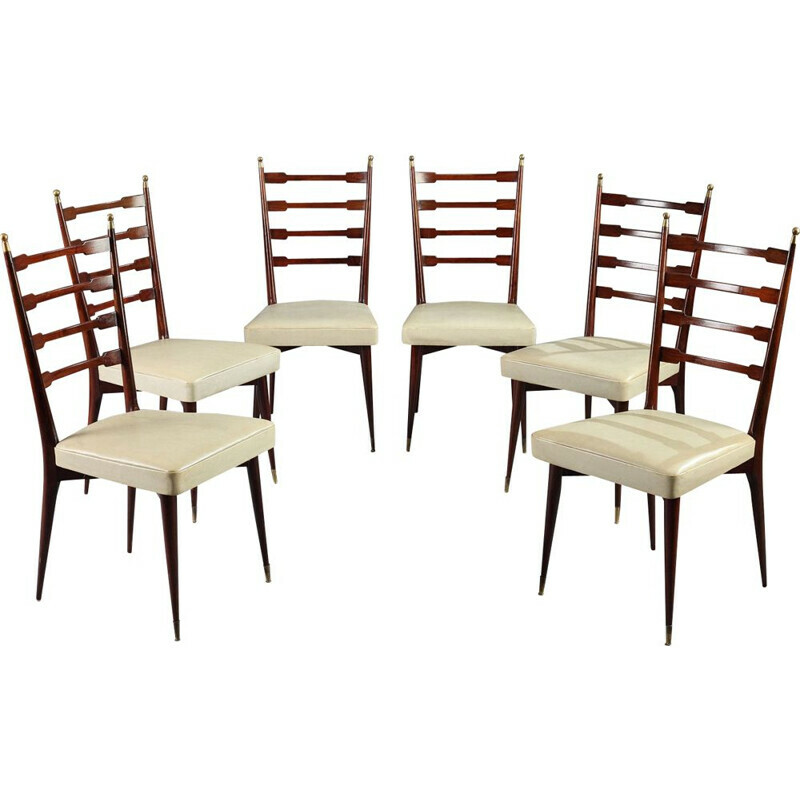 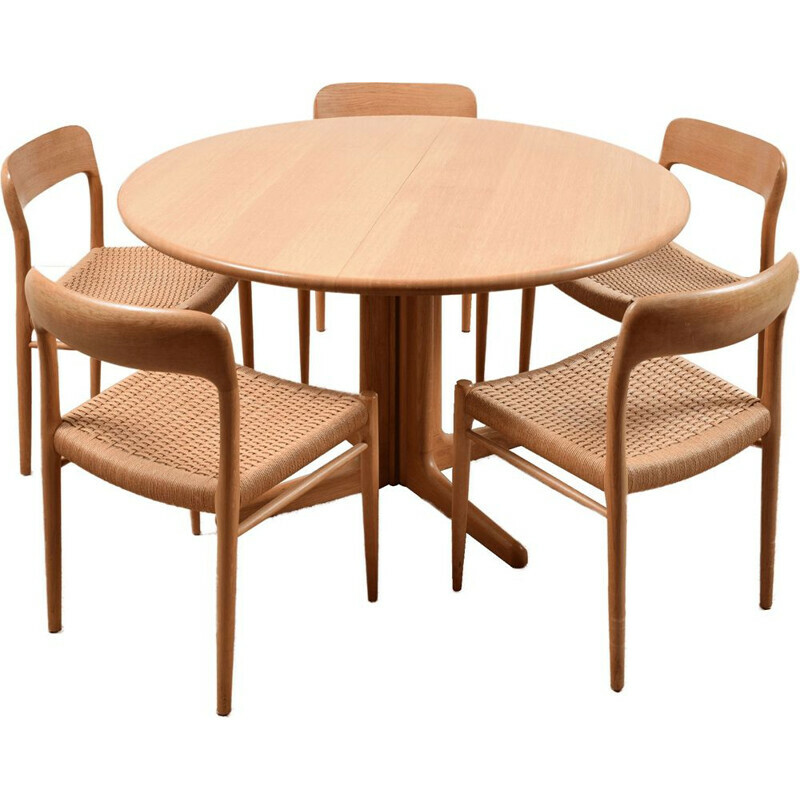 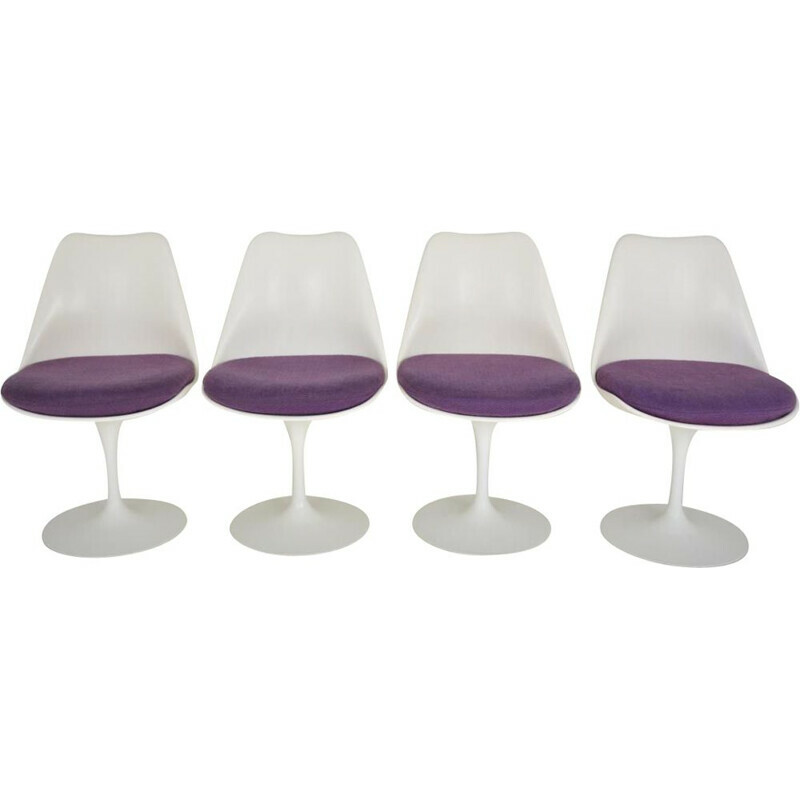 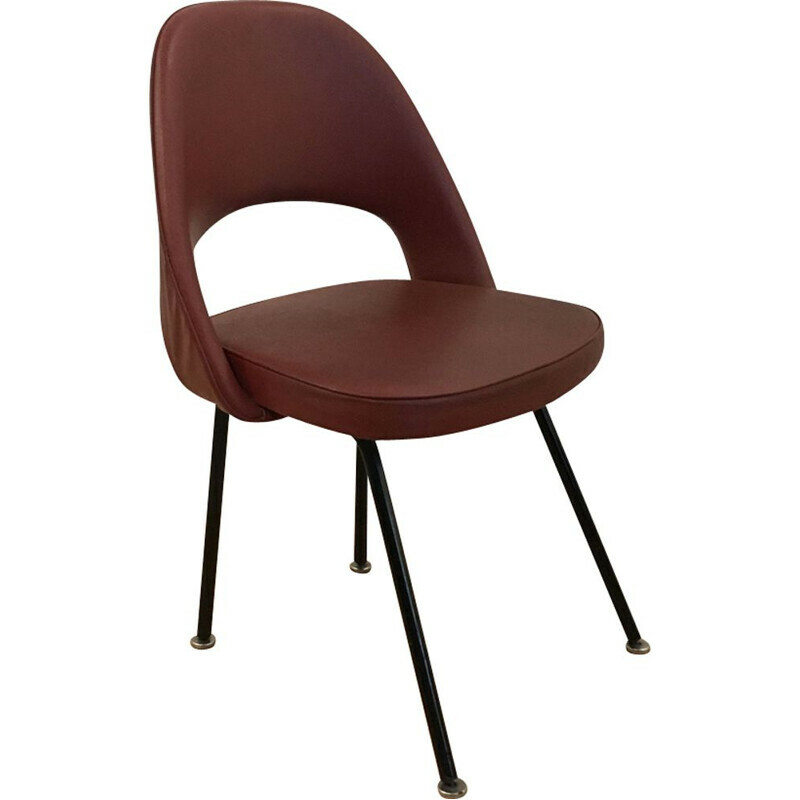 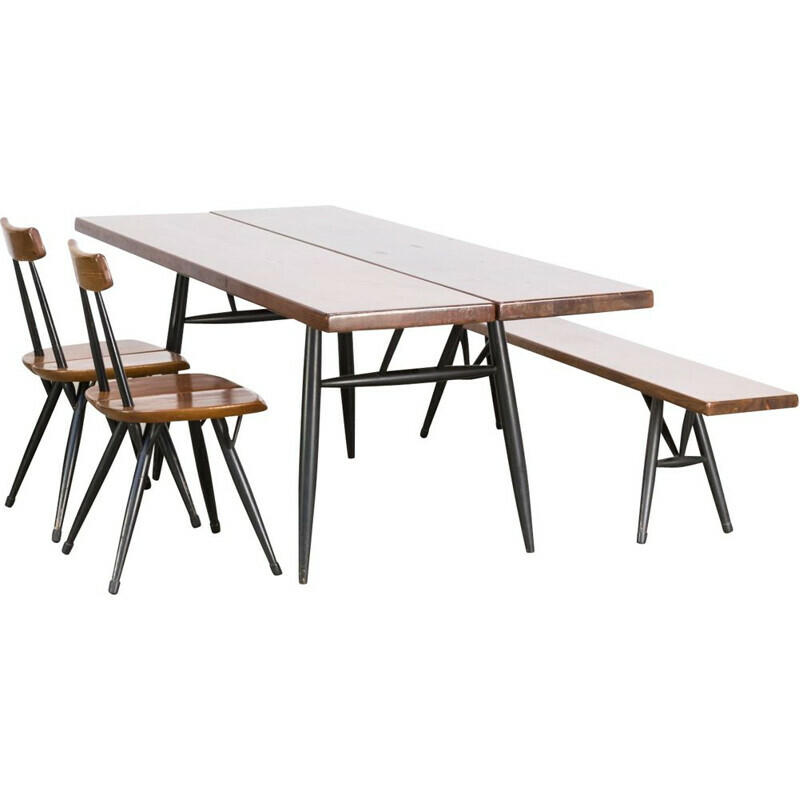 It includes these 5 Tulip chairs by Eero Saarinen for Knoll International collection. 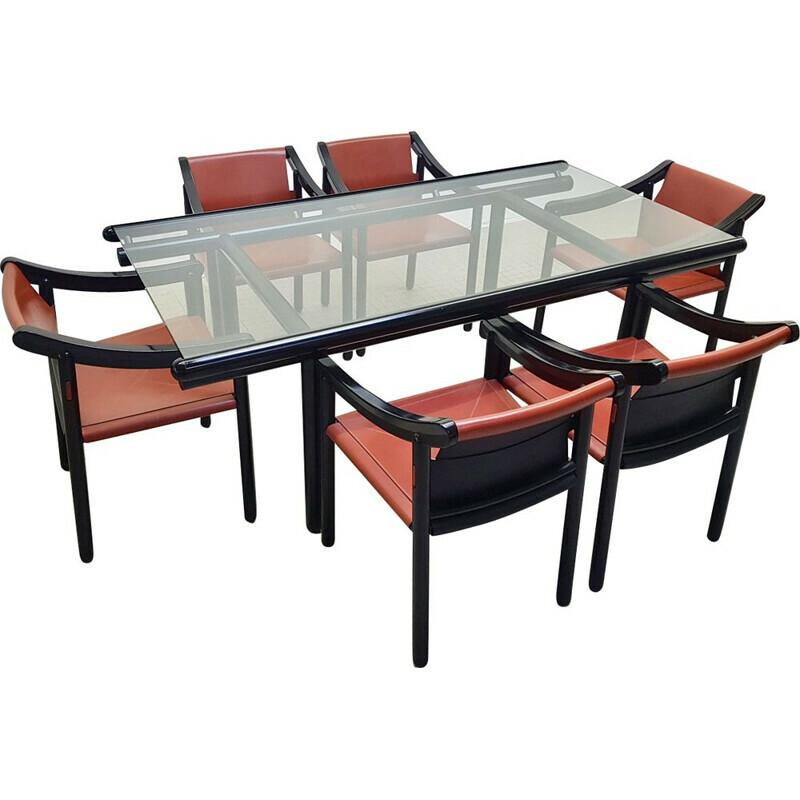 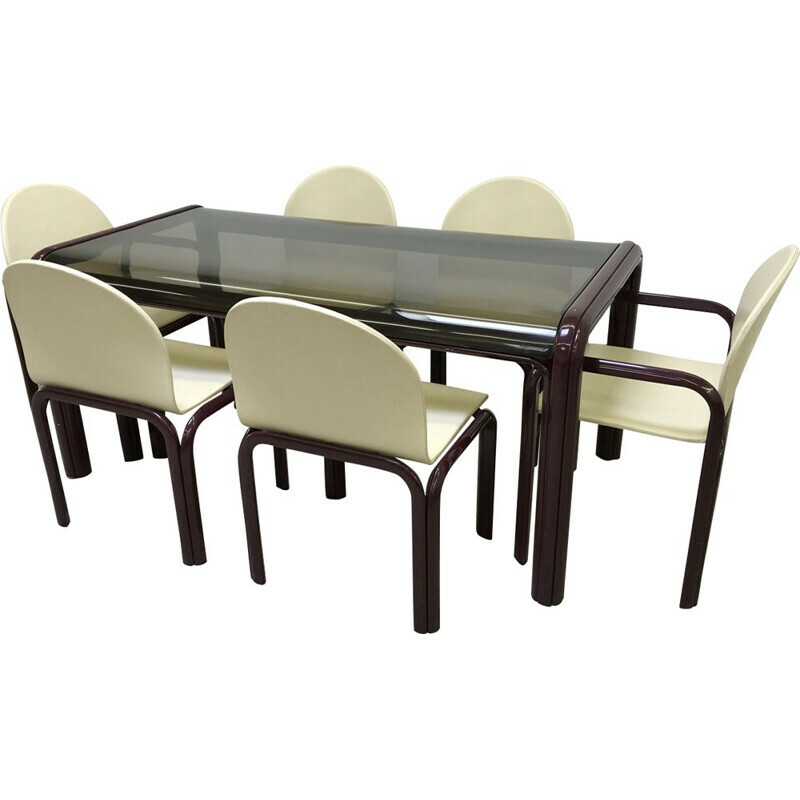 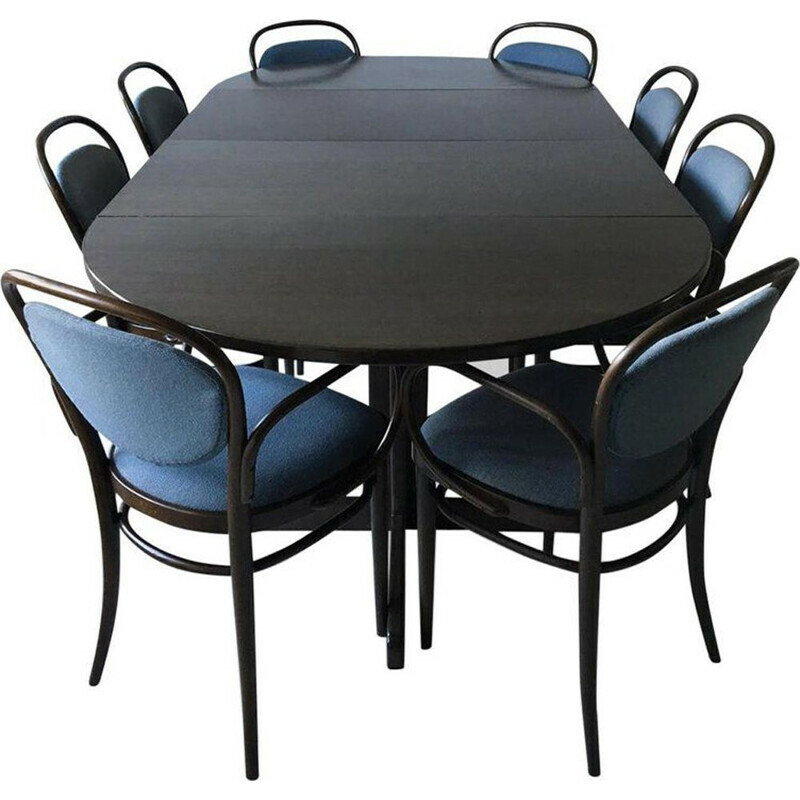 The beige top shell is moulded and in reinforced polyester glass fiber. 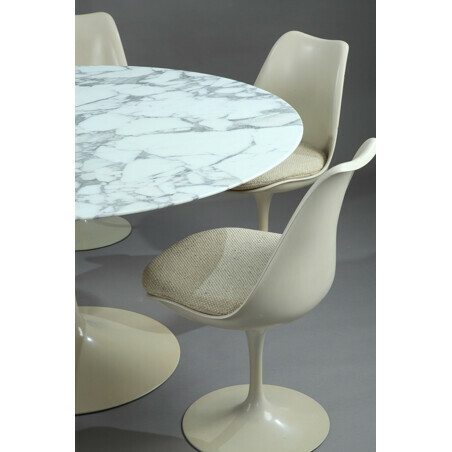 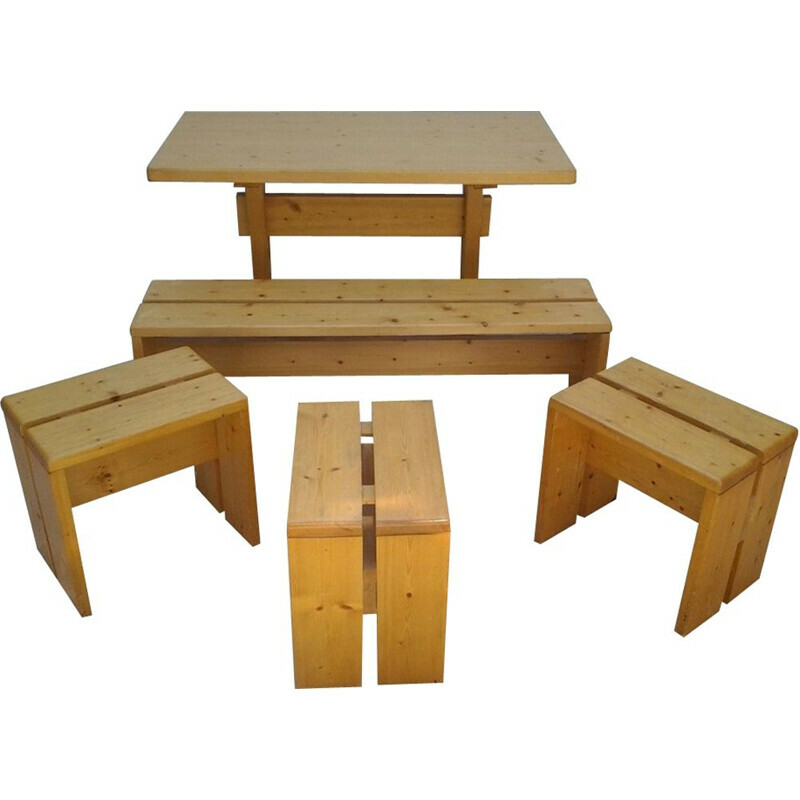 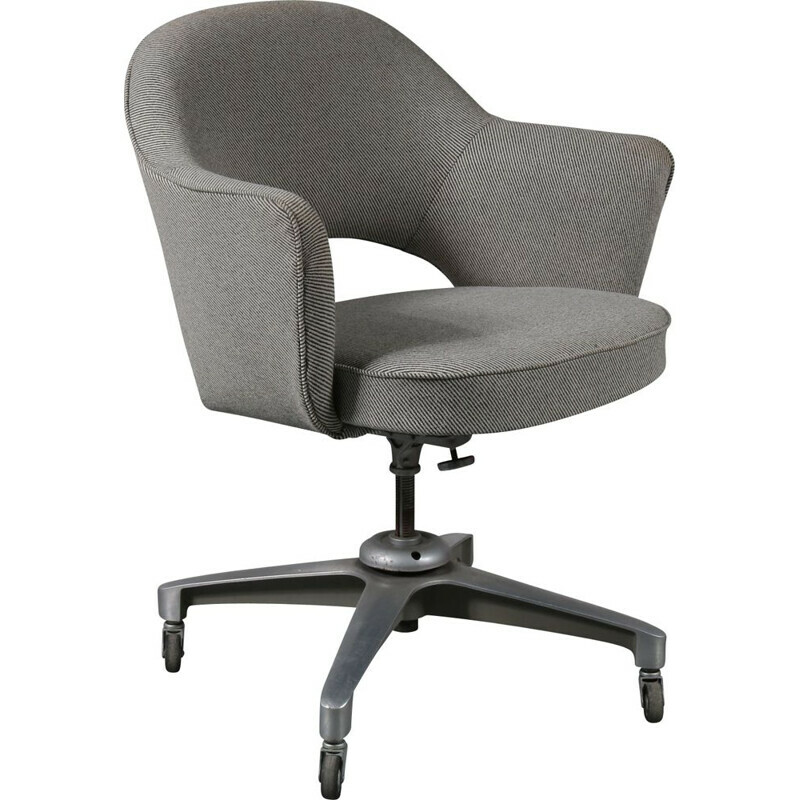 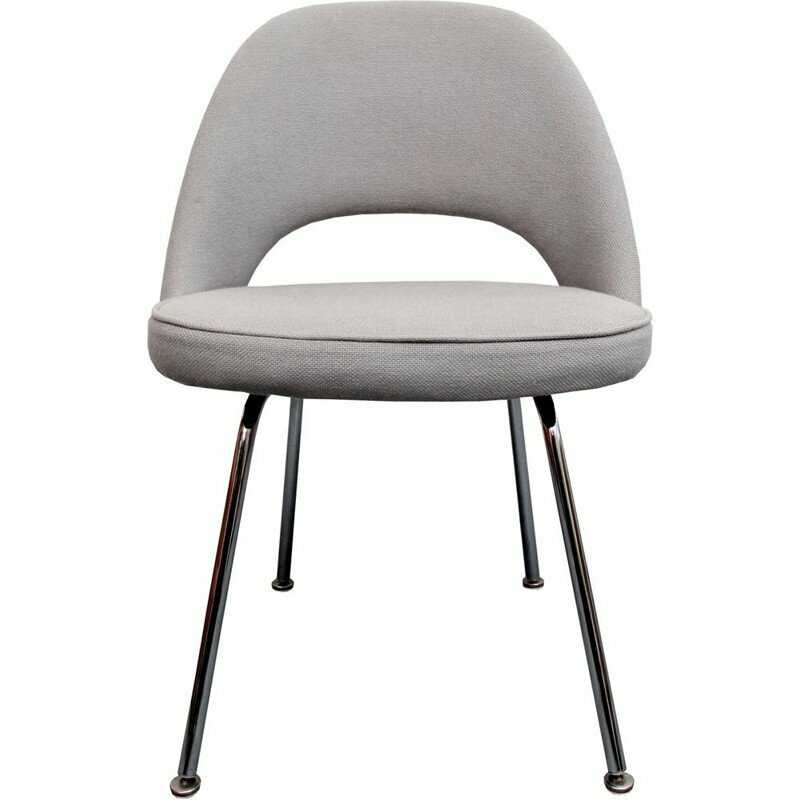 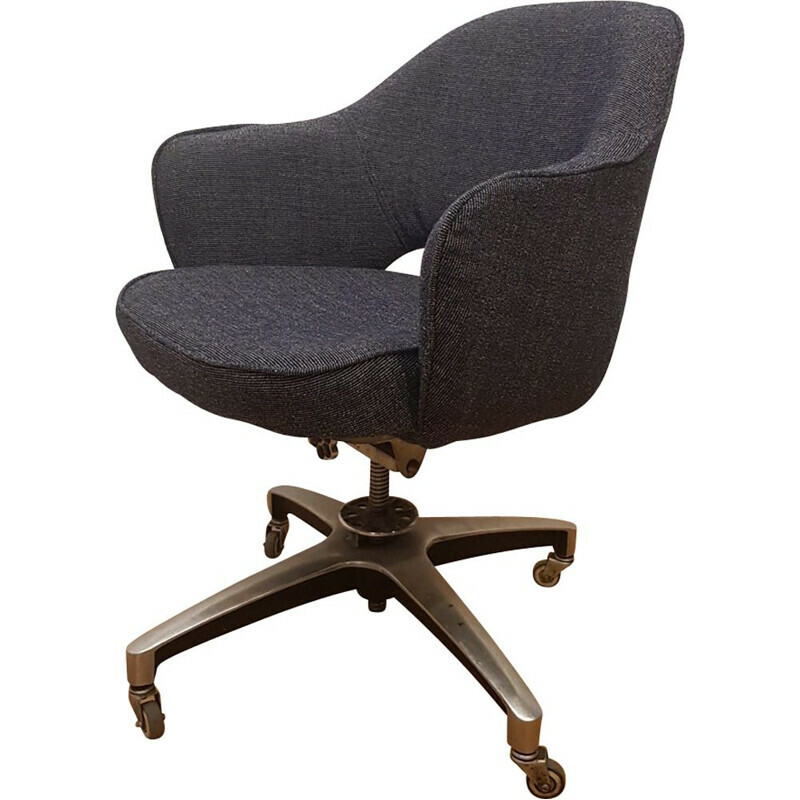 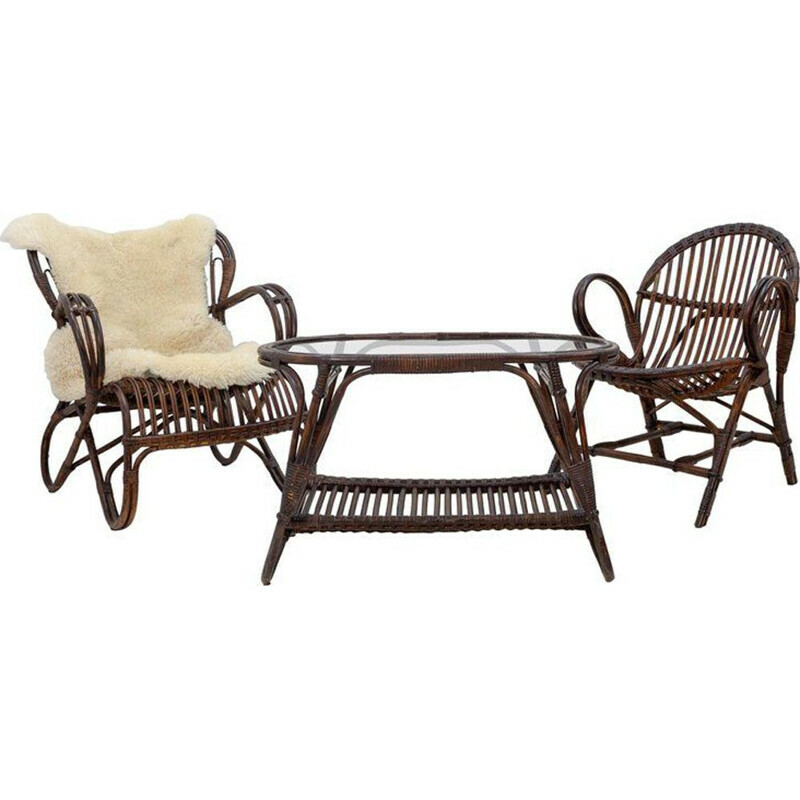 The seat is rotating and stocked in a removable cushion in sand-colored wool.